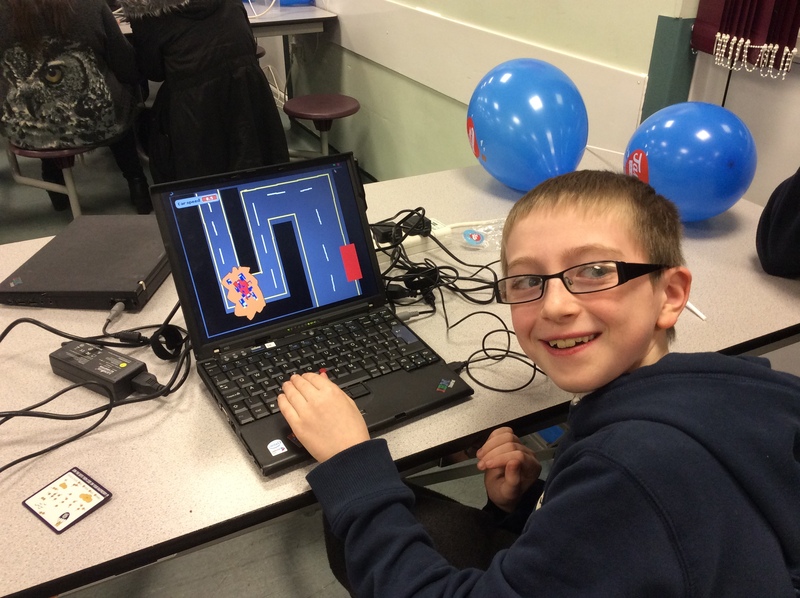 The JamPackedUK tour arrived in Leeds on 27 & 28 February for a 2-day Computing festival at Carr Manor Community School. 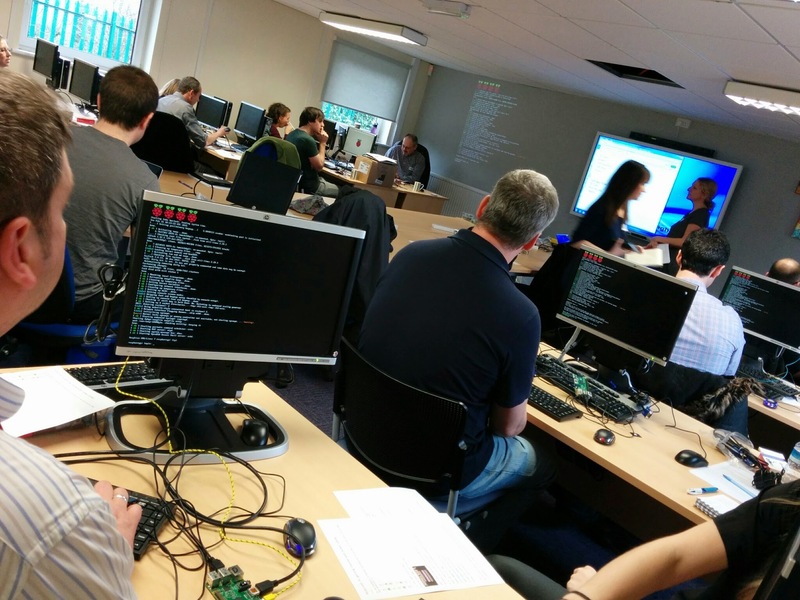 Raspberry Pi Workshop: Jam Packed from Meagan Mansfield on Vimeo. 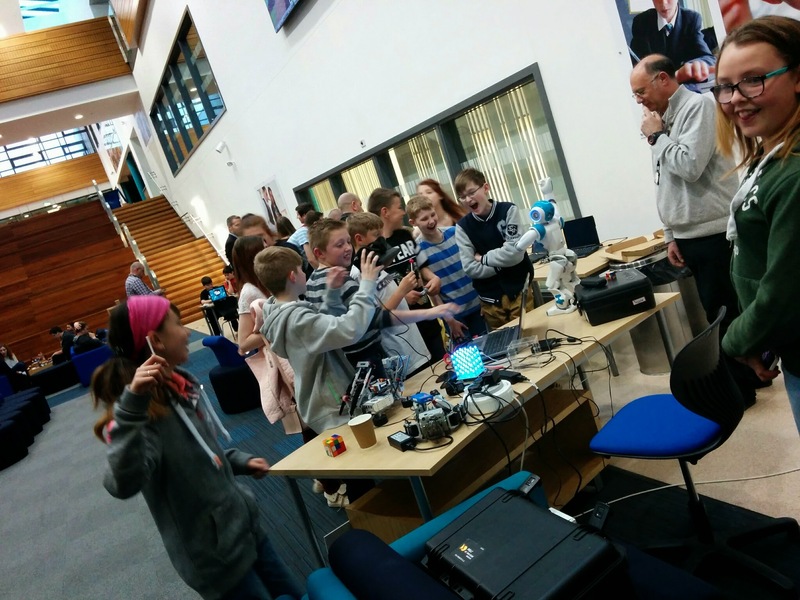 Over 400 people joined us at one (or more) of the 3 events, and we even had an appearance from a robot called KEITH! 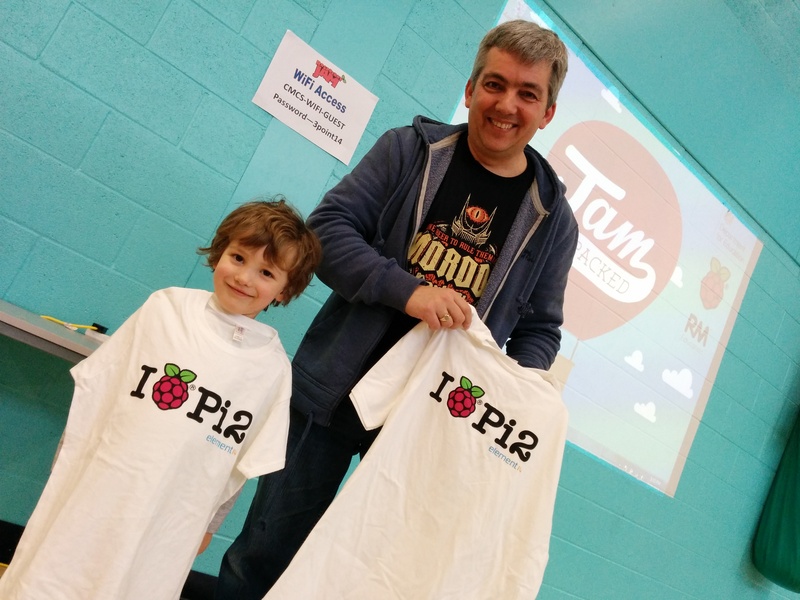 It was a party weekend in so many ways, as we joined with friends down in Cambridge to celebrate the Raspberry Pi’s 3rd birthday with a good dose of birthday cakes, balloons, games and even jelly. 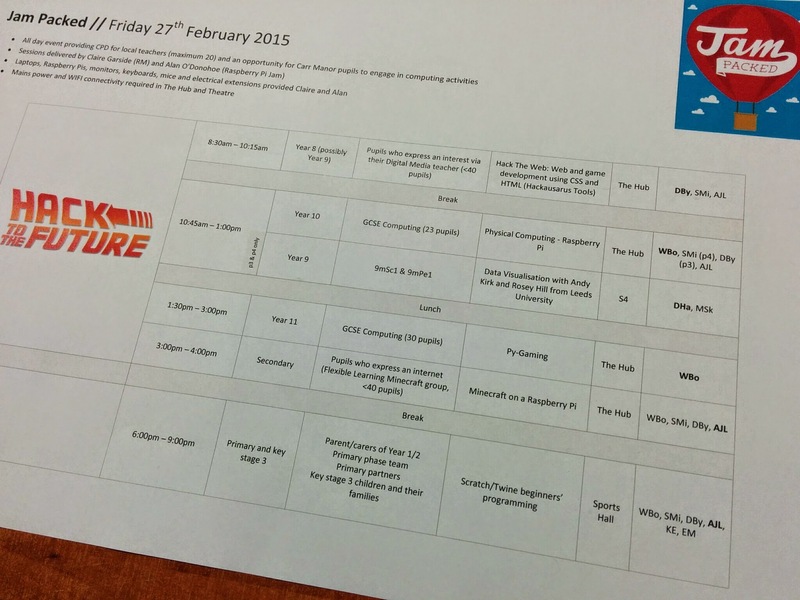 We planned 5 workshops with pupils from the Y8 to Y11 age range; 133 learners in total. 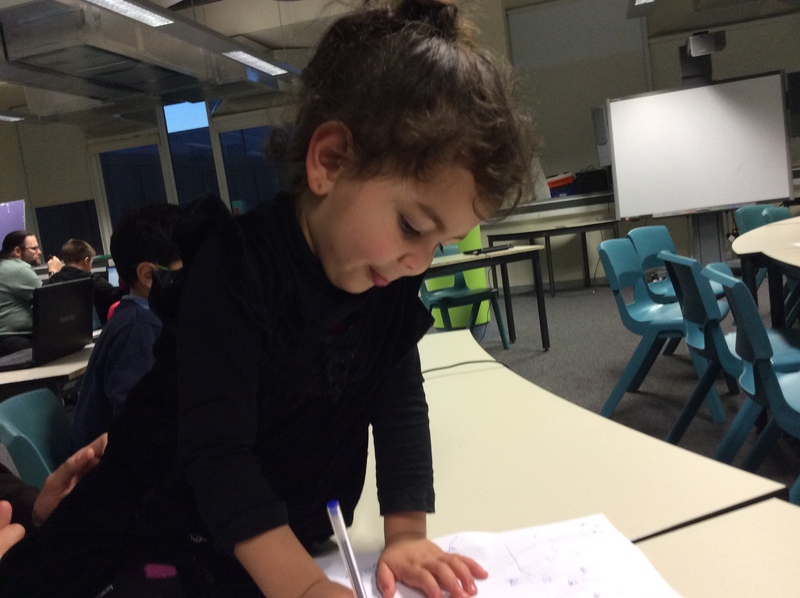 That gave visiting teachers, student teachers, lecturers, supporters and teachers from the host school a chance to participate and reflect on a range of teaching strategies and resources observed at each session. 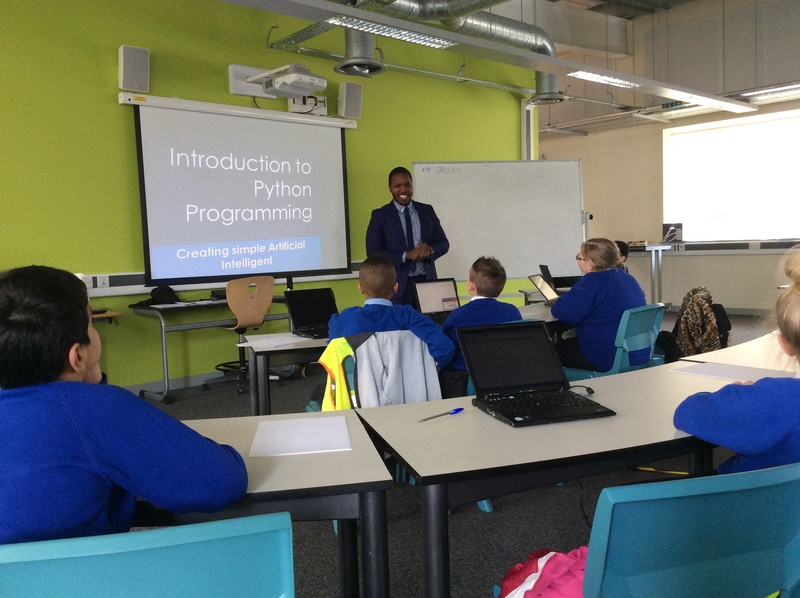 All with the same aim, which was to inspire and engage pupils through Computer Science. 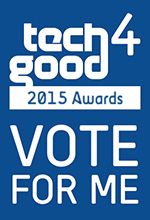 “You’ve inspired teachers, parents and most importantly, children with your energy, enthusiasm and passion for computing. 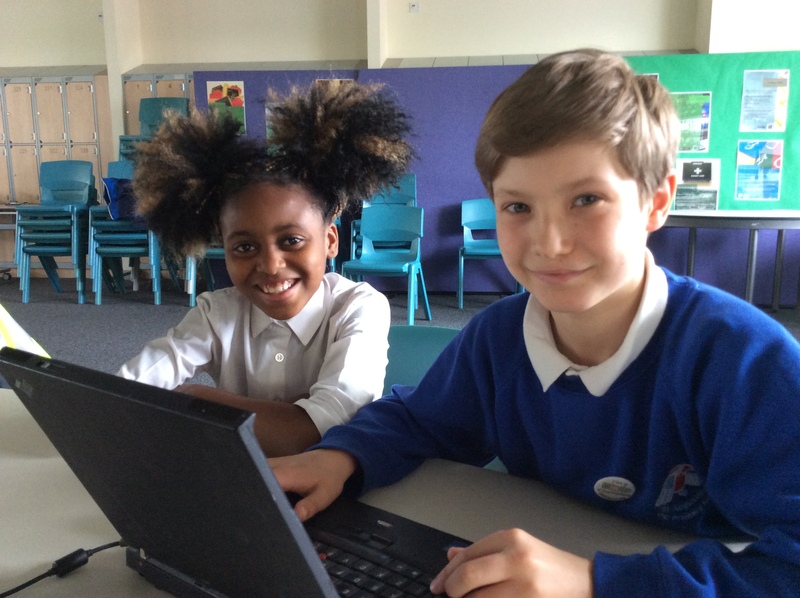 We’re committed to building on the success of the weekend and have lots of ideas about how we engage our community through technology.” Andrew Laycock, Assistant Principal at Carr Manor Community School. 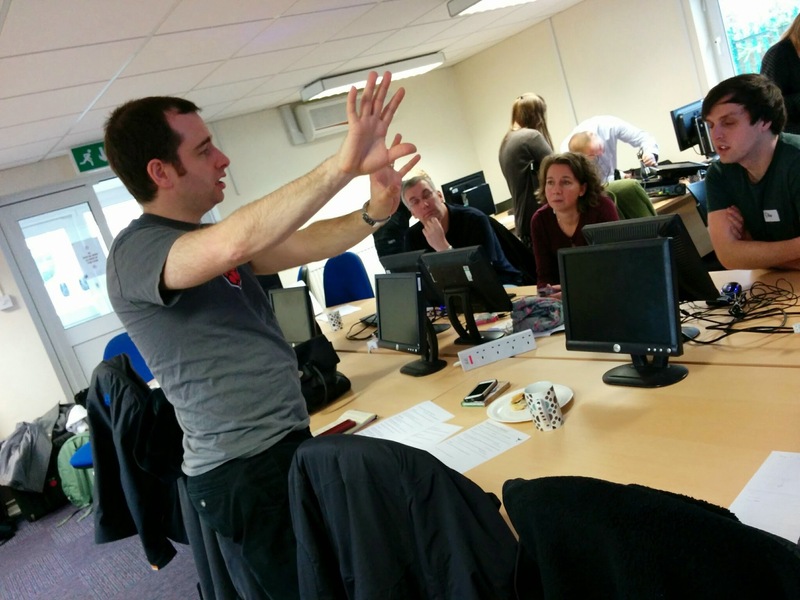 “Fantastic event and opportunity to move forward with the Computing Curriculum.” Donna Byrne, Carr Manor Community School. 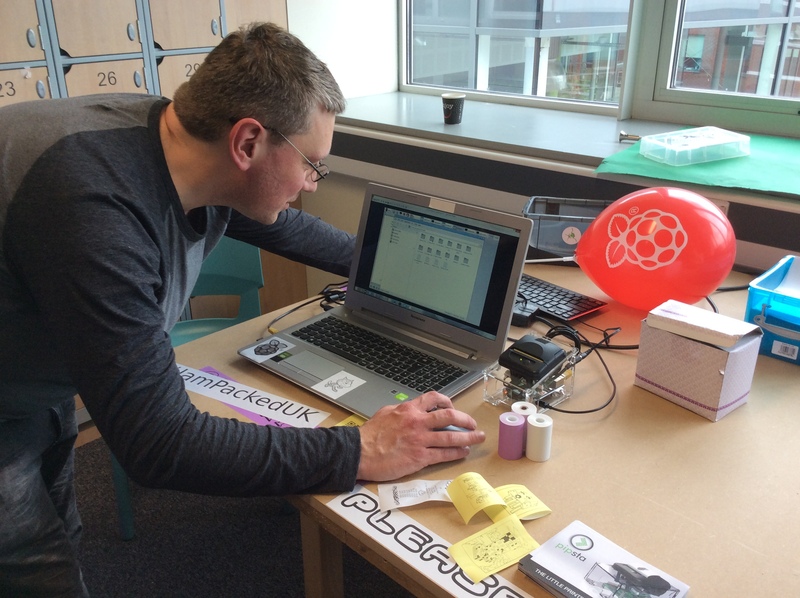 Being able to use Raspberry Pi. I have no previous experience with them. 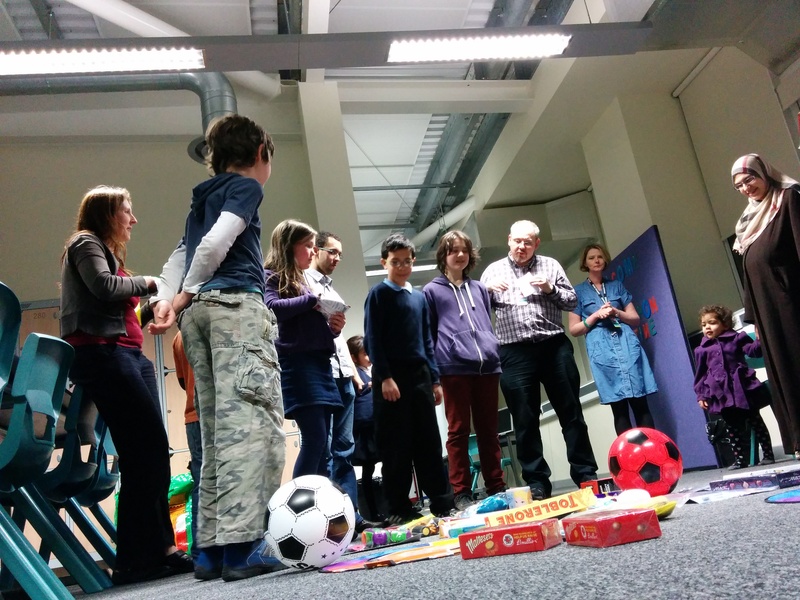 Seventeen family teams joined us for the Hack Jam on Friday evening. 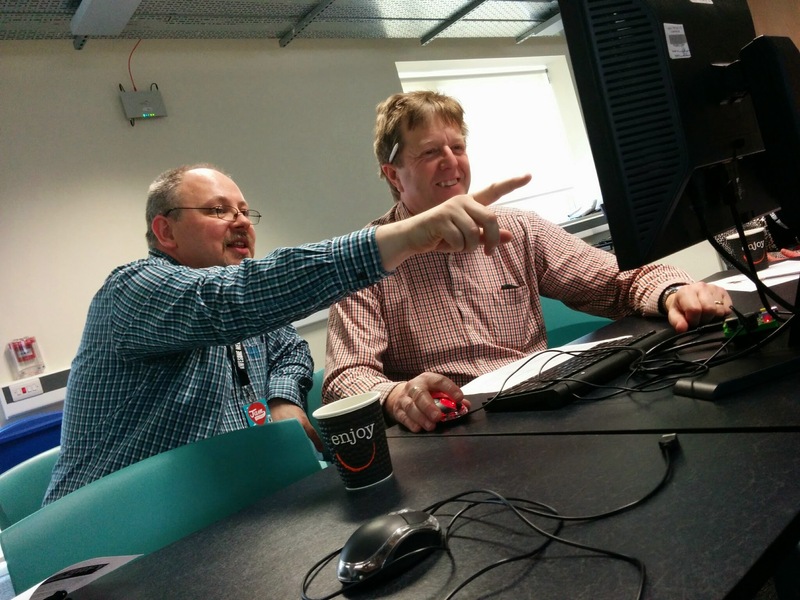 All collaborating on a Leeds-based plotline and using either Scratch or Twine as their chosen tool. 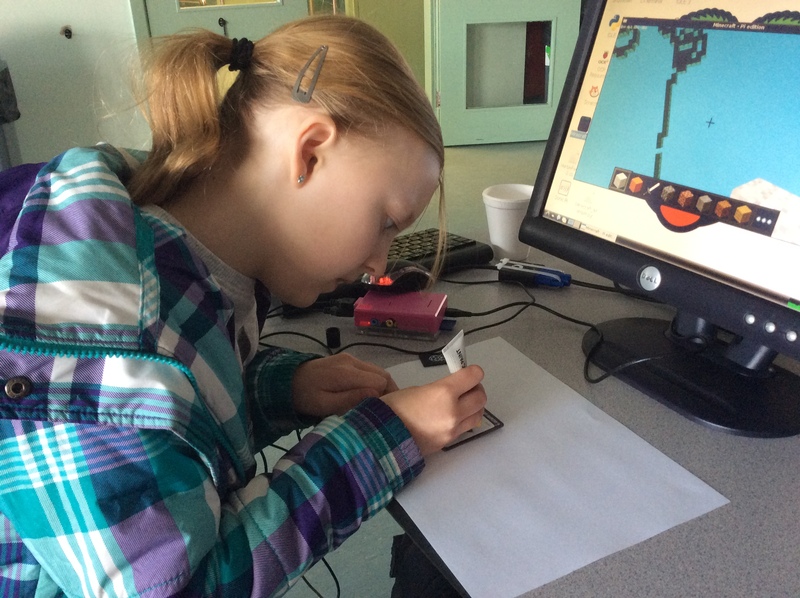 For some it was a chance to use the open source software for the first time and to be shown by the younger generation how to get started and develop a game. 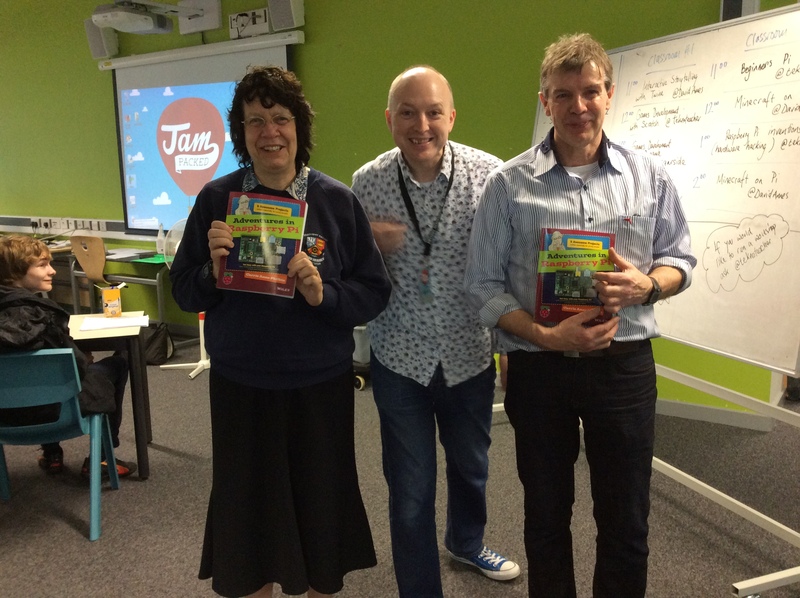 Lots of learning conversations and spying opportunities to enhance a team’s concept, whether that involved blue bananas at Tropical World, gold Olympic post-boxes, unicorns or iconic journeys around the city. And the first team into the Prize Chamber? 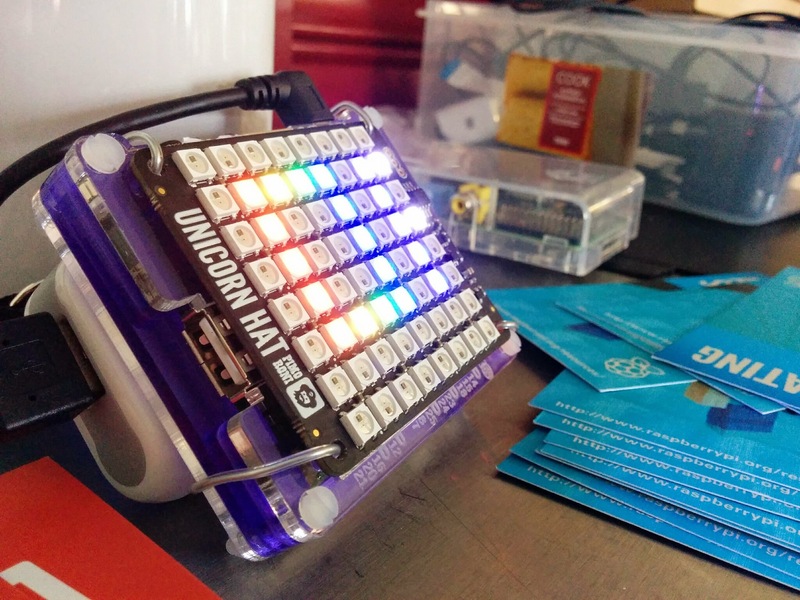 The collaborators entering the Unicorn Heaven hack. 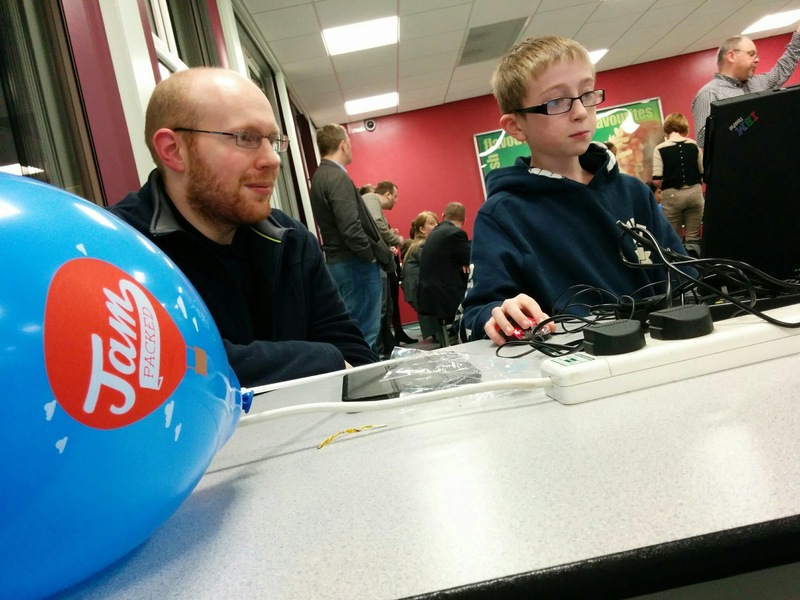 Over 150 people came together to jam in Raspberry Pi style at the birthday party weekend event. 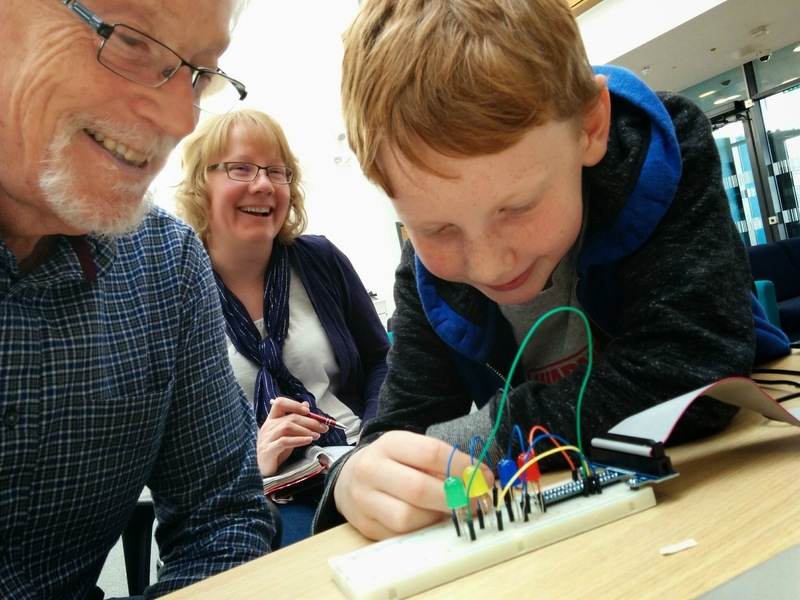 New collaborations formed, as they always do, with young sharing with an older generation, elders mentoring younger jammers, teachers sharing projects with trainee teachers and above all else, everybody asking each other ‘how did you do that?’. 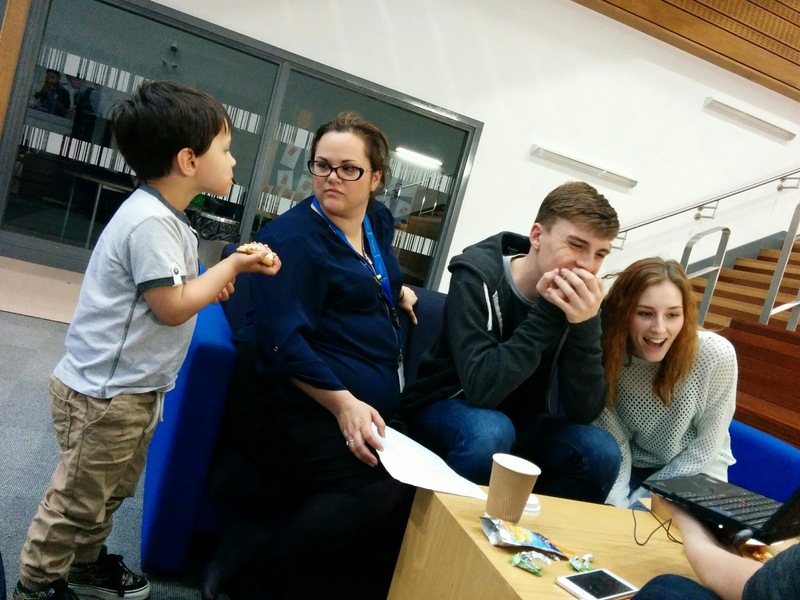 Our hosts Carr Manor, being a ‘through school’ for children aged 4 – 16 years, were determined to offer opportunities for everybody in their community regardless of age and experience. 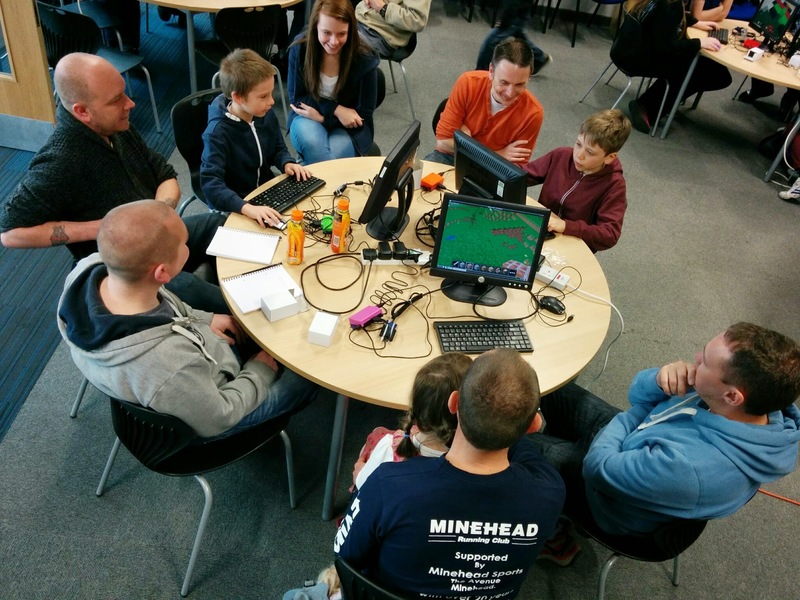 Workshops offered at the Jam gave everybody opportunities to get started, invent and prototype hardware with Monk Makes, hack Minecraft and develop their own games using the Raspberry Pi computers. 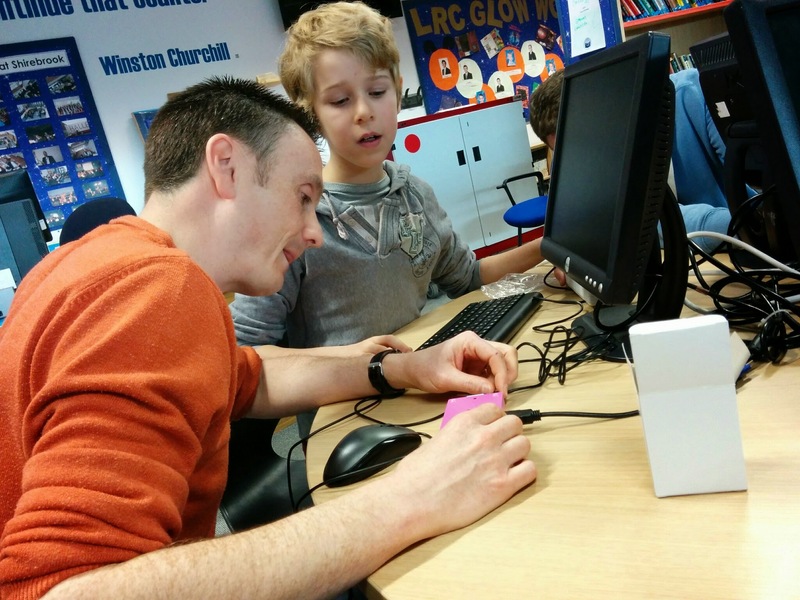 We were thrilled to be joined by our friends from Code Club and Young Rewired State, who offered even more opportunities to the local community and beyond. 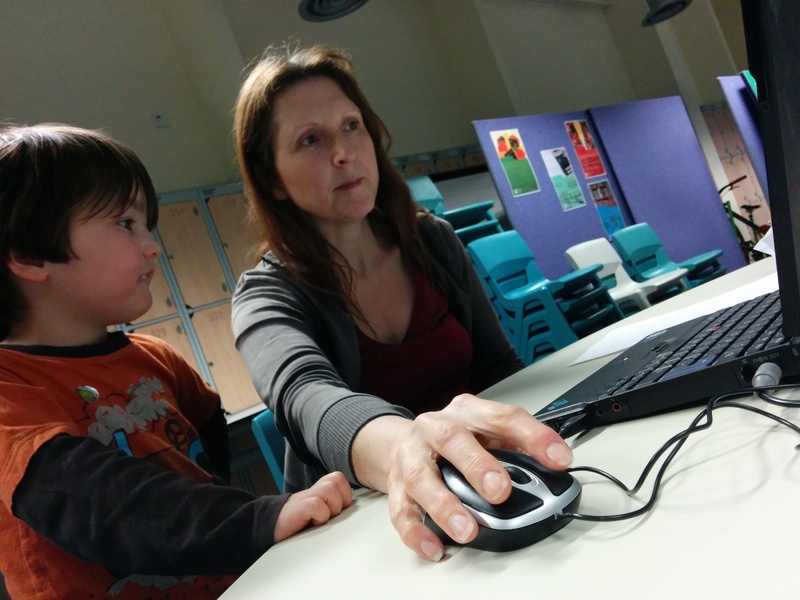 Linda Broughton, Yorkshire & Humber Regional Co-ordinator for Code Club, shared learning experiences and resources with families wanting to have a taste of Code Club challenges and collaborated with the Raspberry Pi classroom using Scratch activities for game making. 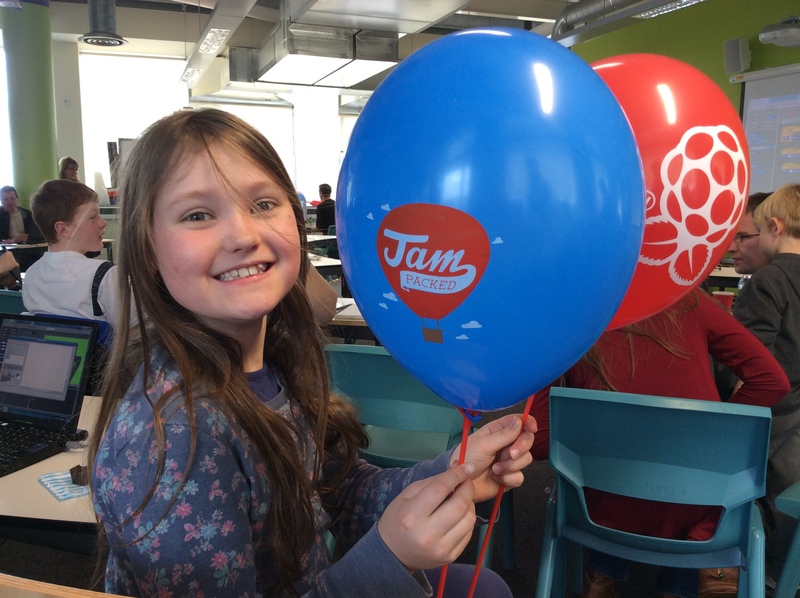 Amazing what priorities had been giving to computing, with young people dashing in from swimming and cycling lessons or whizzing off to dance, karate and gymnastics to join us at the Jam; and moreover, wanting to know what they could do next. 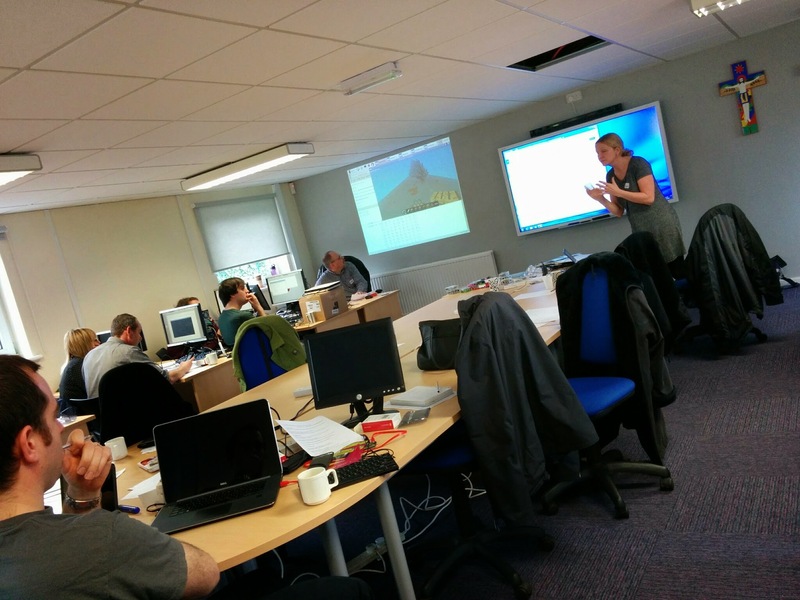 A Code Club, Hyperlocal Leeds on 28th March, or possibly a Summer Festival anyone? Mayank and Peter (giving us big thumbs up!) 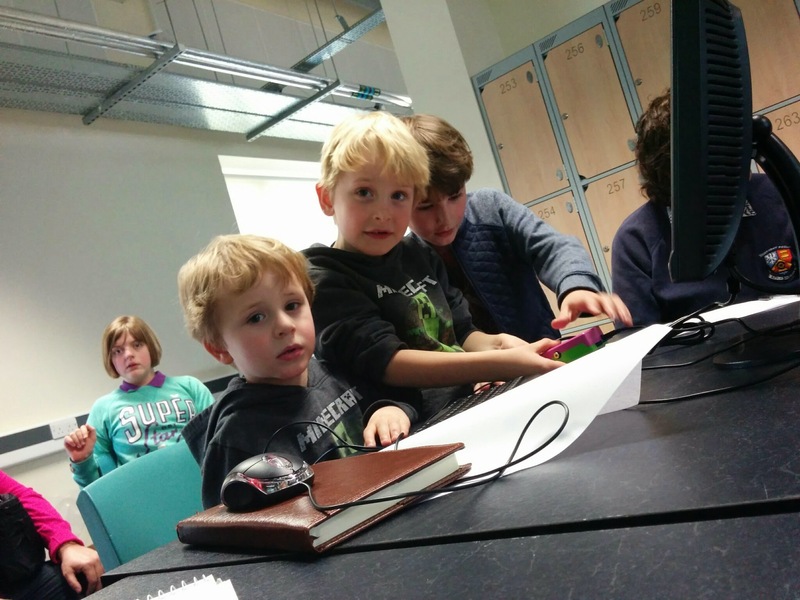 got chatting about their own projects. 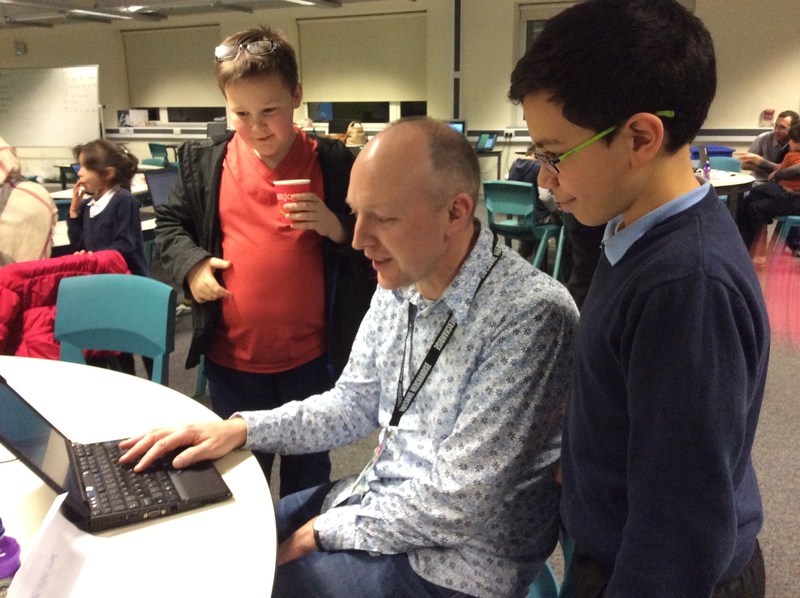 Mayank is developing an app to help people make the super tough decision of which university to choose, and Peter was explaining about the awesome digital musical instruments he’s creating with parts sourced from the Headingley charity shops. Watch this space Listen out for updates! 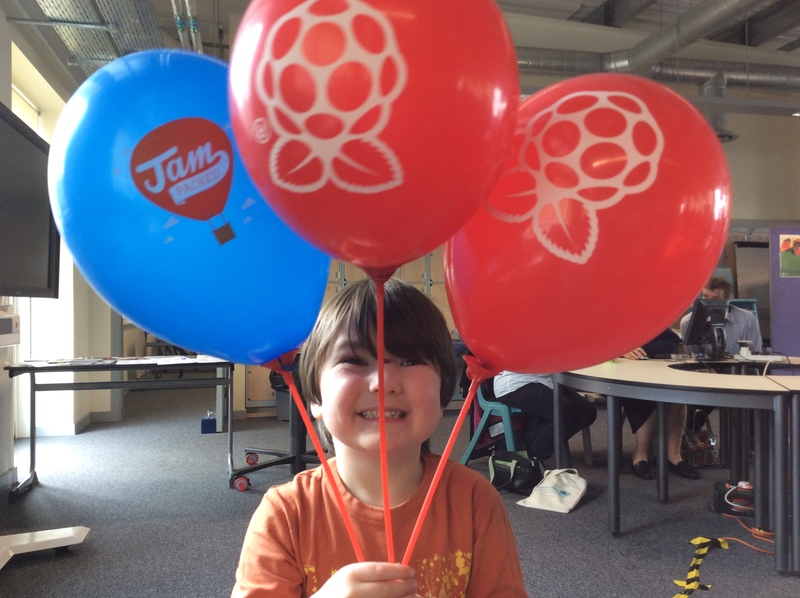 Charlie and his mum coded an awesome to do list together, experimenting with CSS to change styling, and that was one of the many family learning projects started and developed at the Jam. 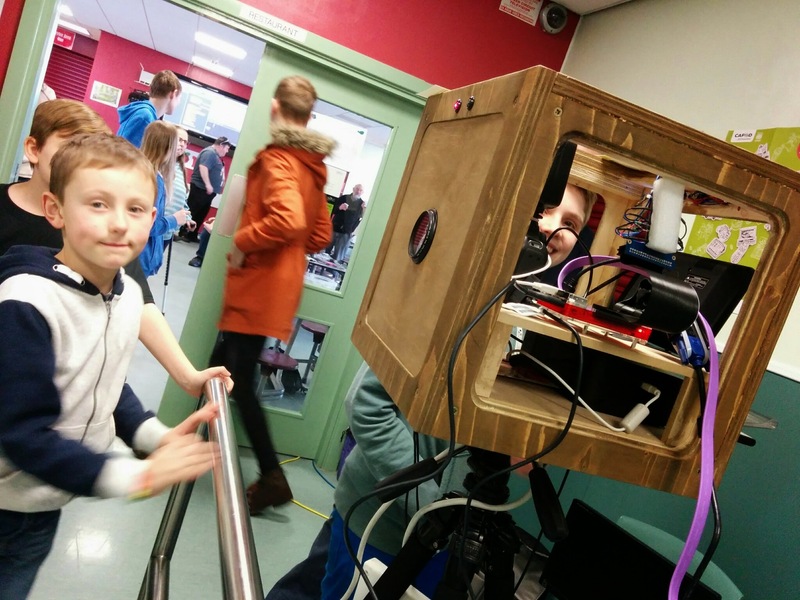 Great to see how a robot called KEITH, another family learning project, could inspire so many more groups in its home city of Leeds. 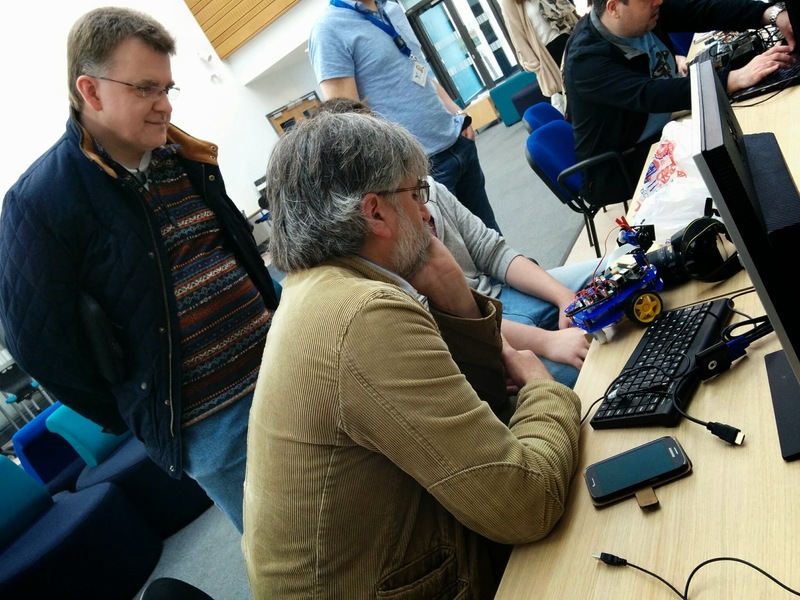 With Andy and Harry talking about the umpteenth stages of development and Keith’s participation at the CamJam Pi Wars robot event, we hope see even more iterations joining a next Raspberry Jam. Party jelly formed part of a workshop area using a Touchboard or two with some electric paint from our friends at the Bare Conductive team. 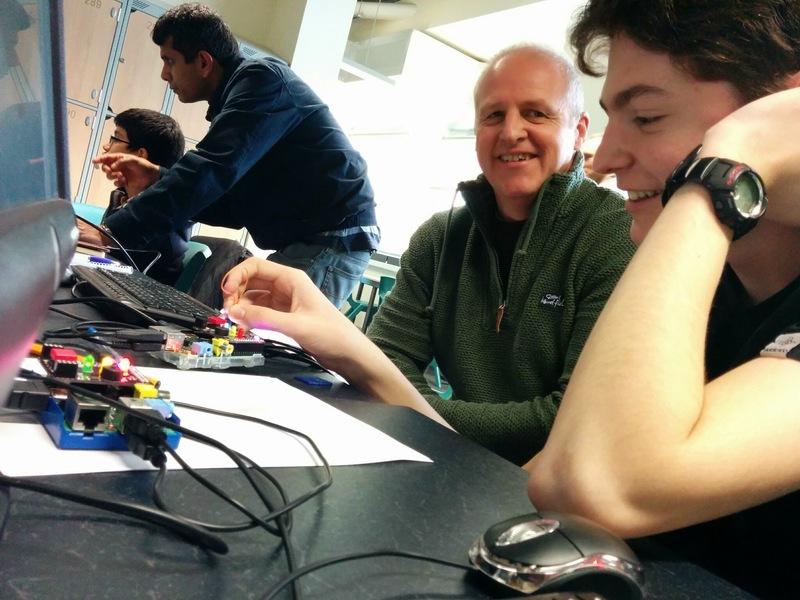 Alongside Raspberry Pi with controllers such as Makey Makey the sky was the limit for ideas of how to control the birthday tunes through capacitive touch ways. 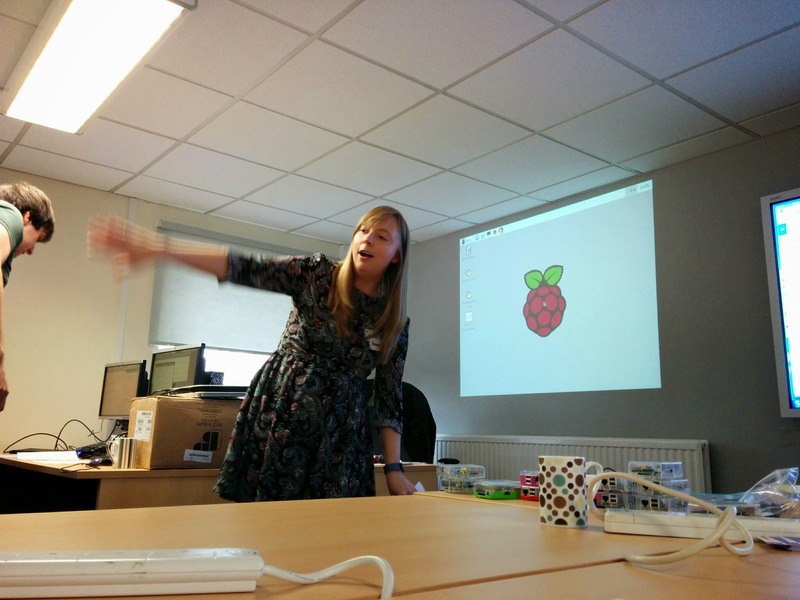 A party’s never a party without music and it was great to see Christine Harvey on the laptop decks, with a live coding session using @sonicpi, after her return from Picademy. 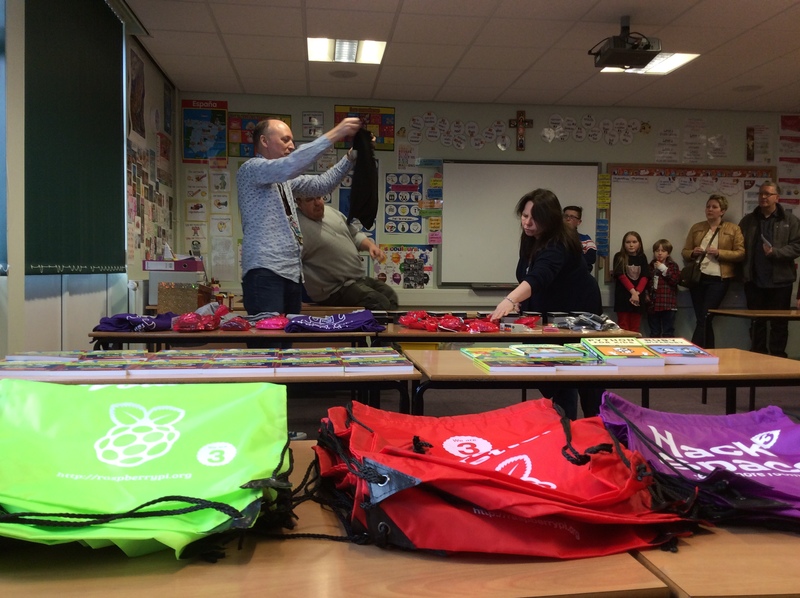 When the JamPackedUK roadshow visited Pedmore Technology College, Stourbridge on January 30th & 31st 2015, a total of 478 participants attended the Computing events taking place at the school to discover how to use tools like Python & Raspberry Pi to develop computer software and hardware. 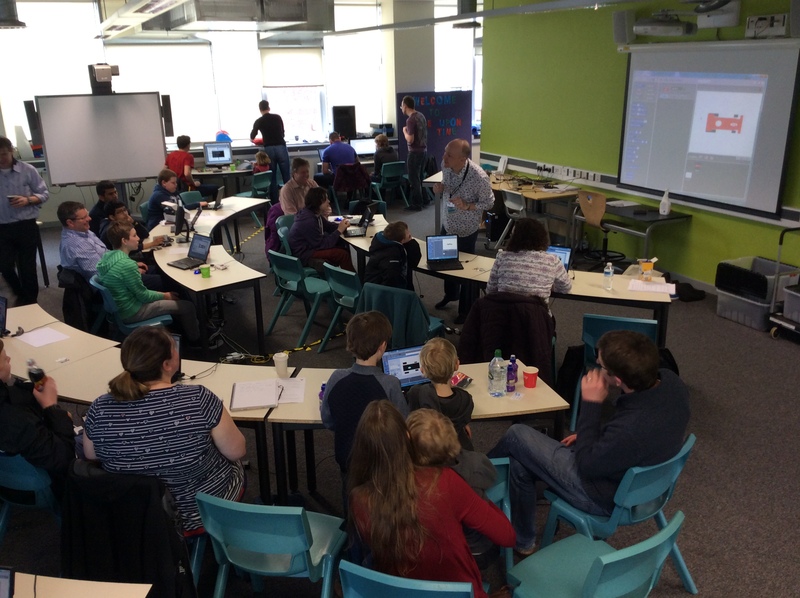 The first event, Hack To The Future took place during the school day (from 8.30am on Friday morning until 3.30pm). 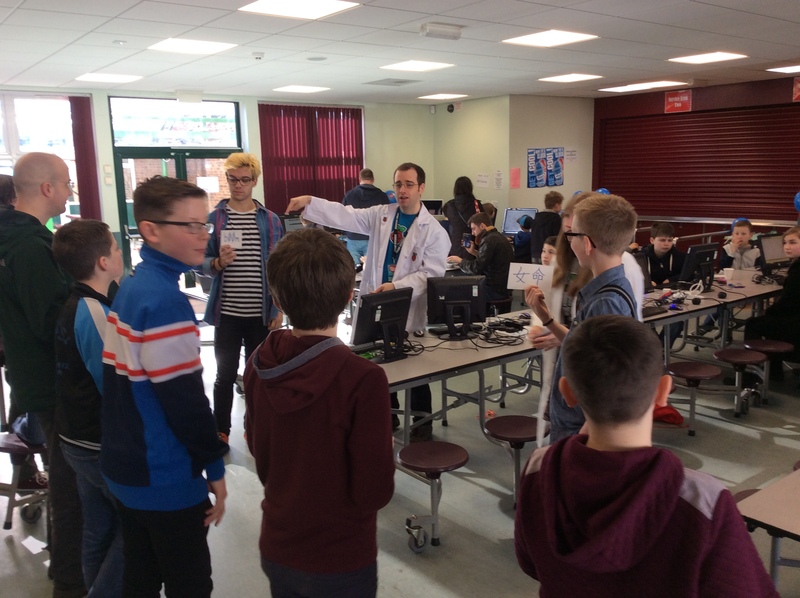 There were 240 pupils from Year 7, 8 and 10 at Pedmore Technology College, 30 Year 5 pupils from Hobb Green Primary, 3 teachers from Pedmore, 15 Computing teachers from local schools as well as 15 PGCE student teachers from Newman College, Birmingham. 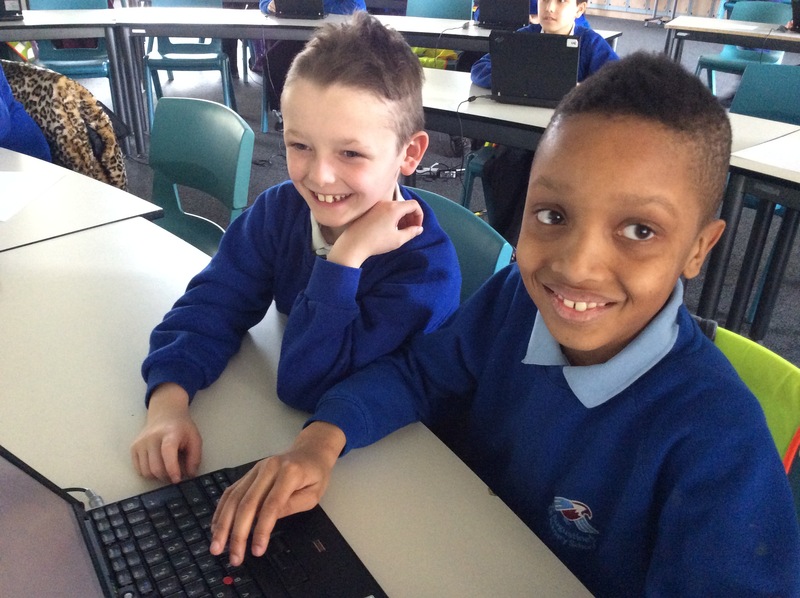 The larger group of Pedmore & Year 5 pupils were divided into two smaller groups of 135, with each group spending half a day together in the hall developing games with Scratch, Python & Pygame led by Alan O’Donohoe and then half a day understanding Computing Science concepts through ‘CS Unplugged’ workshops planned and led by Newman College students. 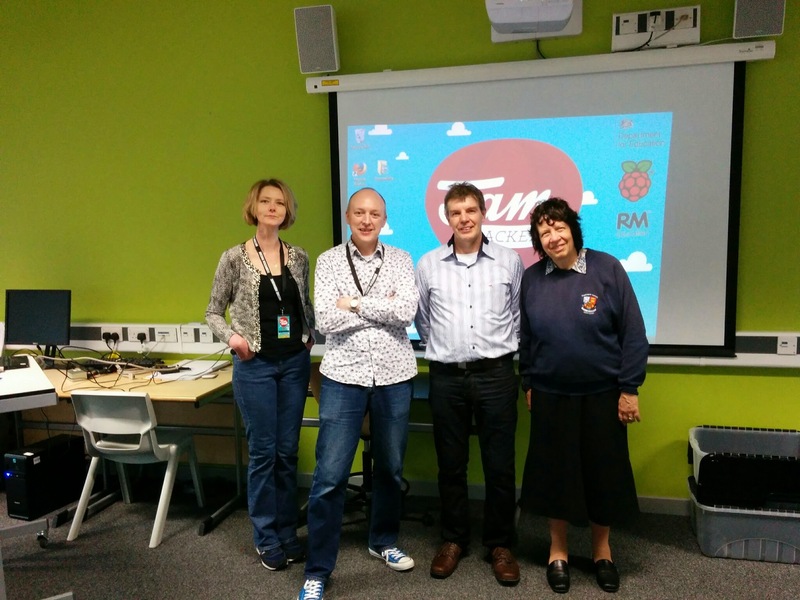 Teachers visiting from other schools in the West Midlands witnessed a range of teaching strategies being demonstrated using free downloadable resources all with the aim of inspiring and engaging pupils into Computer Science. 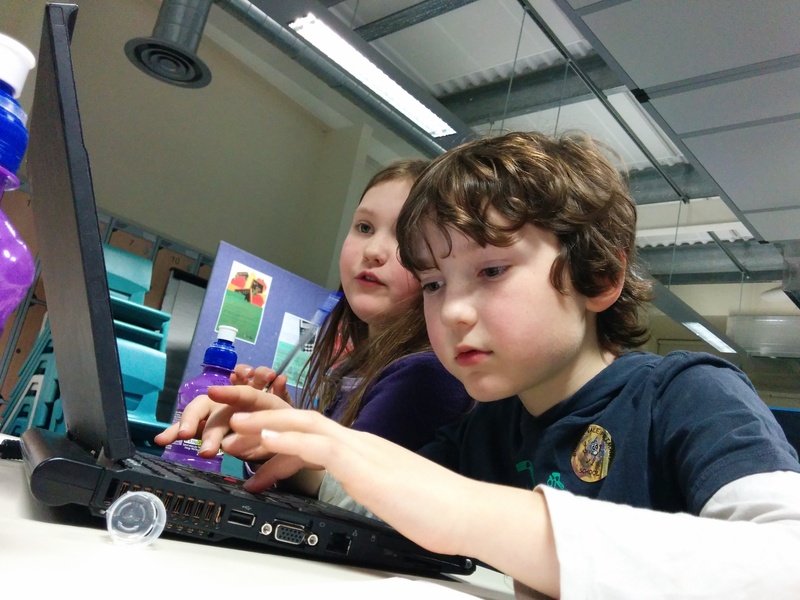 The free software for the coding activities was pre-installed on the Jam Packed laptops [blog post to follow]. 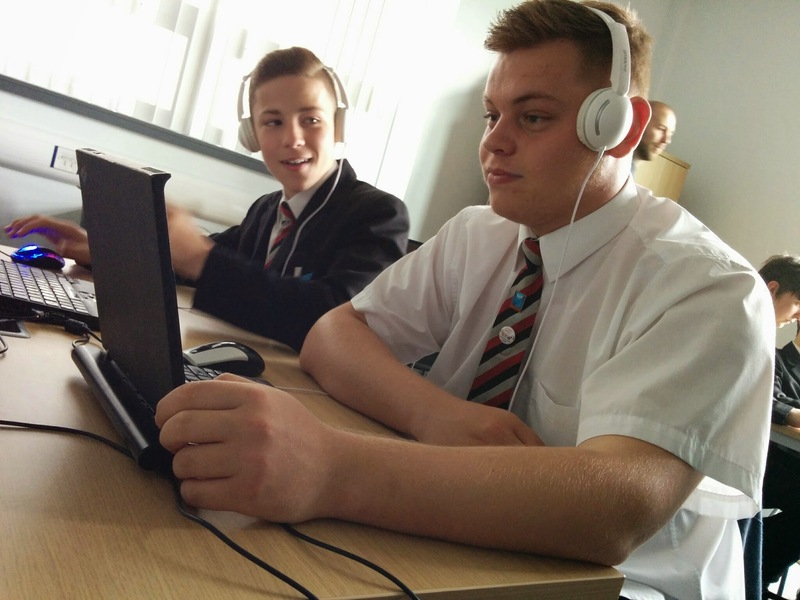 Pupils learned in pairs sharing the laptops, they swapped roles as Driver & Navigator. 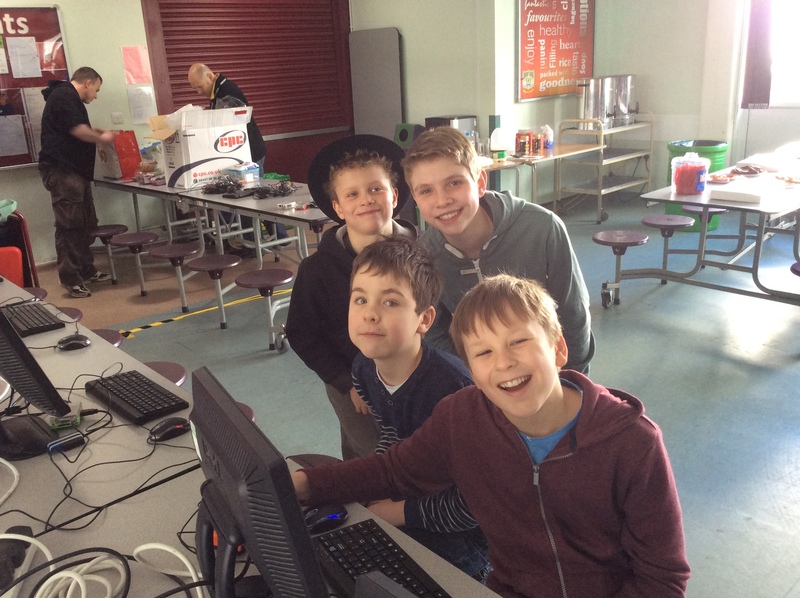 Pupils working in groups of three had an additional role of Spy and used ‘Espionage’ to steal ideas from other teams. 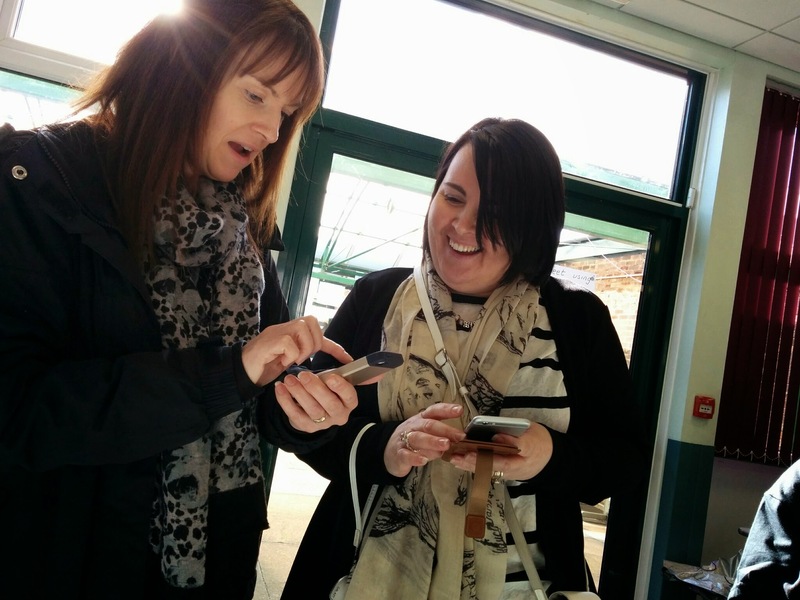 88% (14) agreed that attending the event was beneficial for them as a teacher, 12% (3) were not sure. 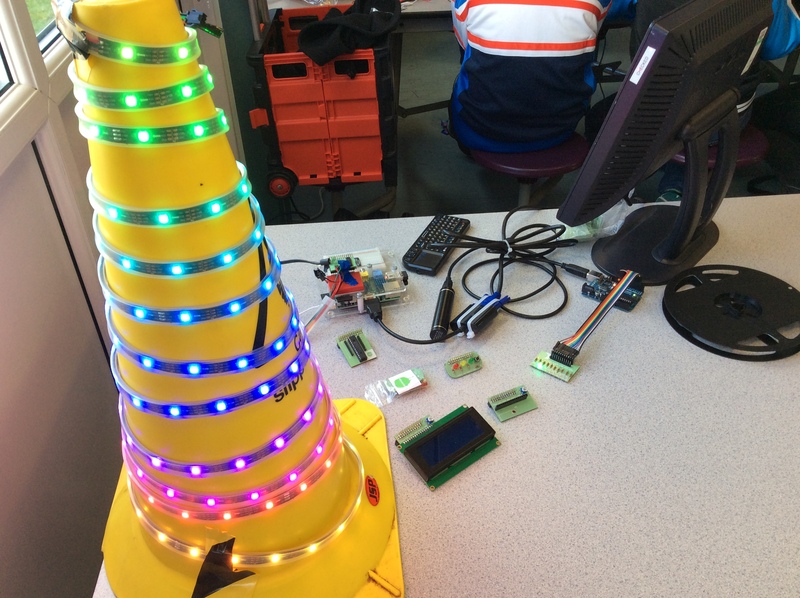 83% (20) saw activities and teaching strategies that they would definitely consider using in their own Computing lessons, 17% (4) were not sure/did not agree. 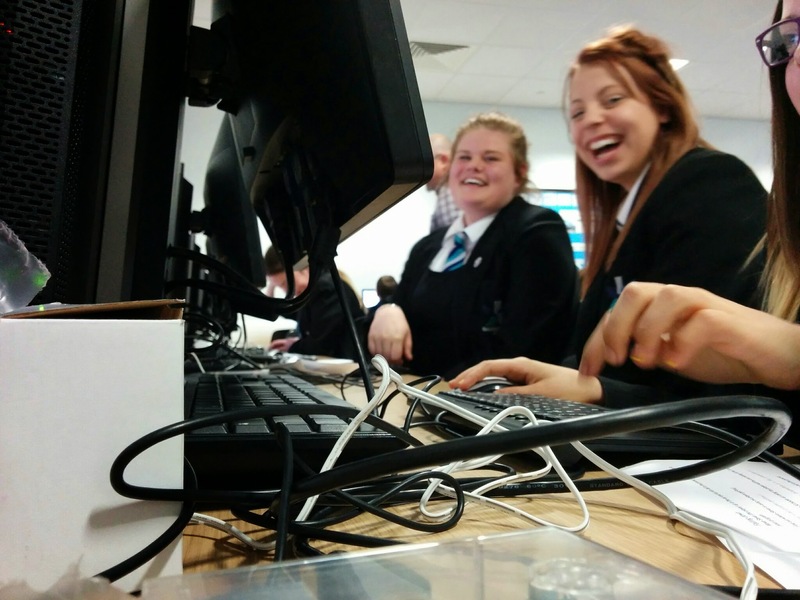 83% (20) felt more confident about teaching Computing after attending this event, 17% (4) were not sure if they felt more confident. 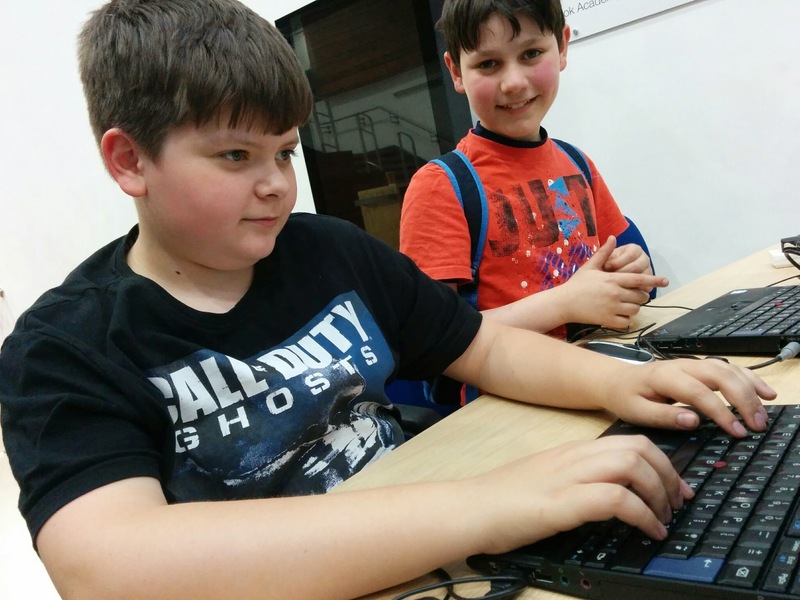 The Family Hack Jam event took place on Friday evening from 6.00pm to 9.00pm. 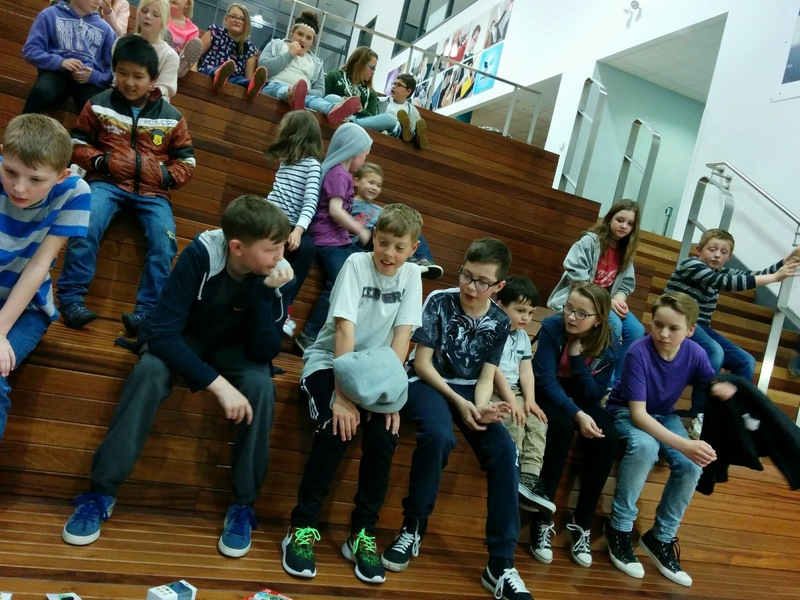 There were 58 participants mainly comprising of families from the local community as well as teachers from other schools (28 adults including 10 teachers & 30 children). 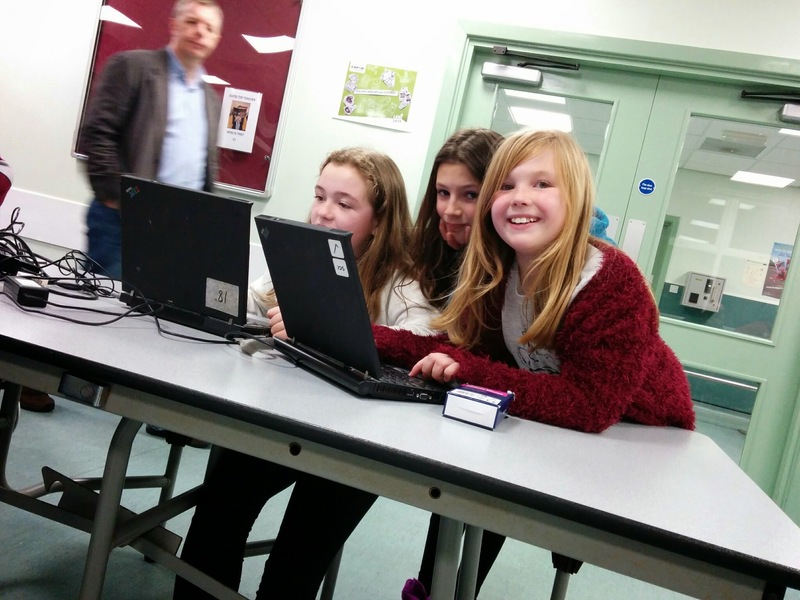 A visiting group of Computing ambassadors from Halesowen College provided support to participants throughout the evening. 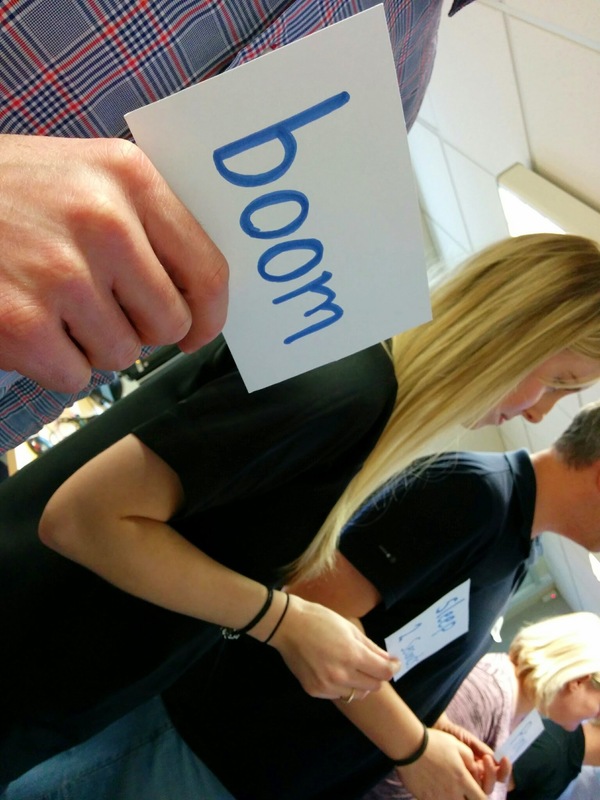 At the start of the event, everyone took part in a short activity to generate a random list of thematic suggestions for a game or text-based adventure. 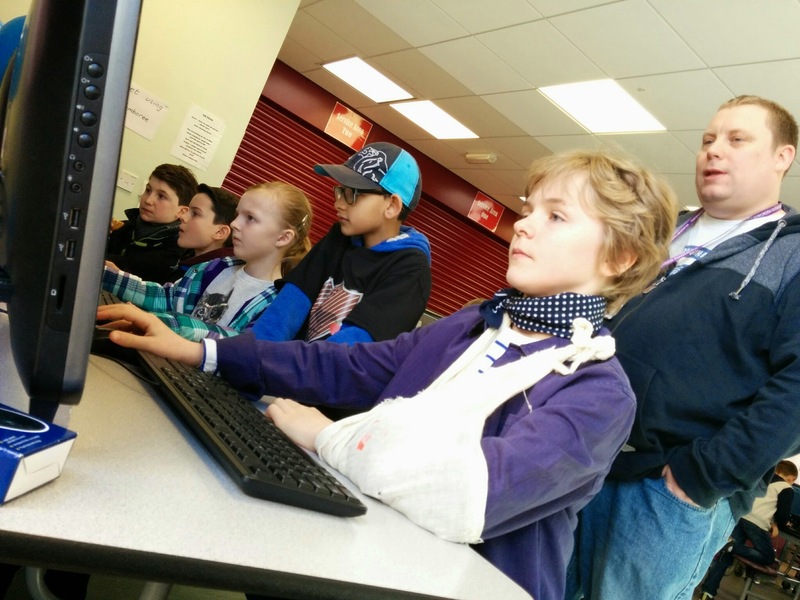 Then following a brief introductory tutorial to using Scratch and Twine, teams collaborated to create games and adventures based on their chosen themes. While teams were busy creating, judges visited them and awarded points for teamwork, leadership, creativity and adherence to the themes. 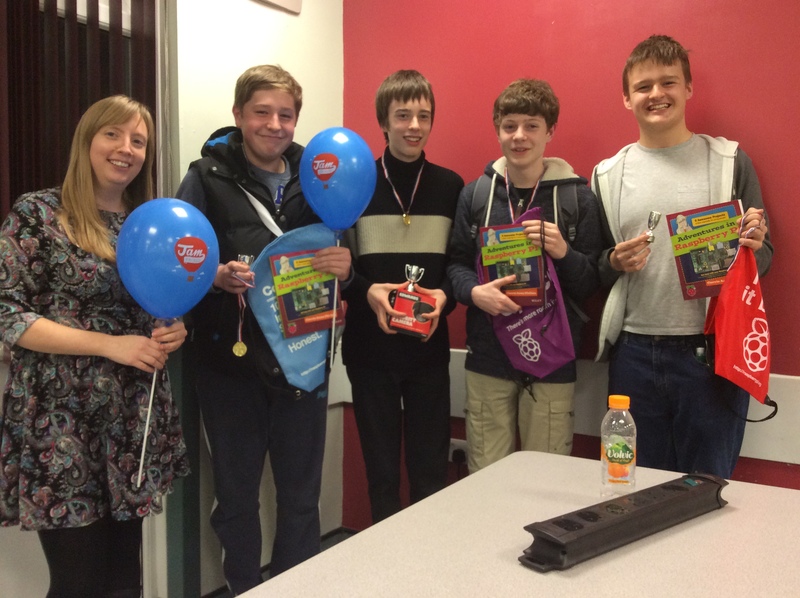 At the end of the evening the teams with the highest scores were allowed entry to the prize chamber first to claim their preferred prizes. 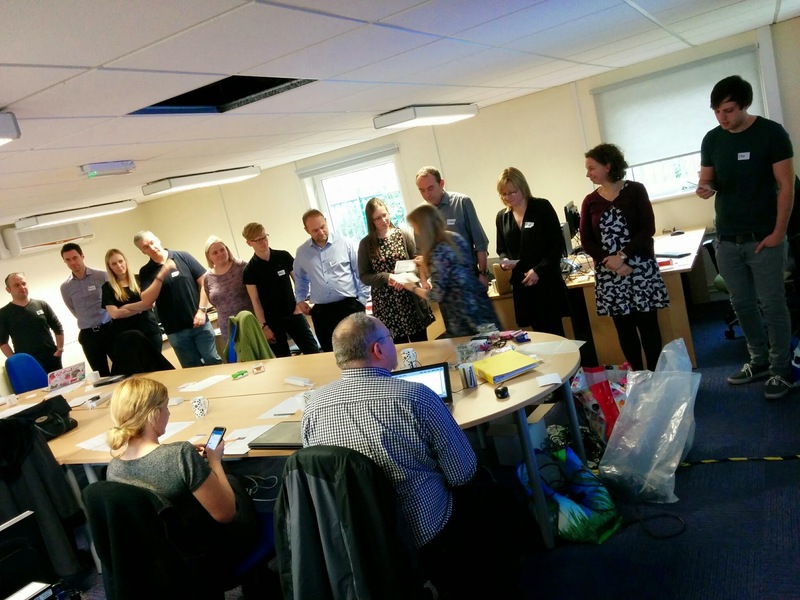 90% (9) agreed that attending the event was beneficial for them as a teacher, 10% (1) were not sure. 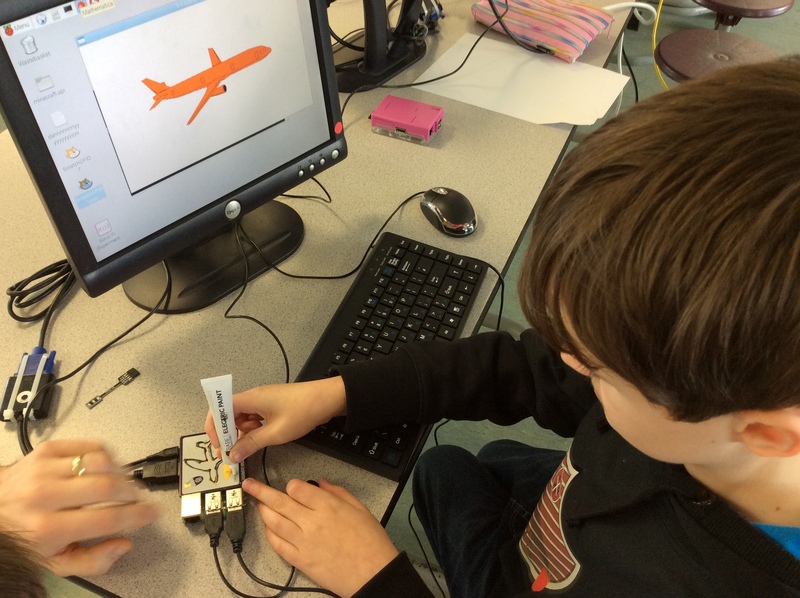 90% (9) saw activities and teaching strategies that they would definitely consider using in their own Computing lessons, 10% (1) were not sure. 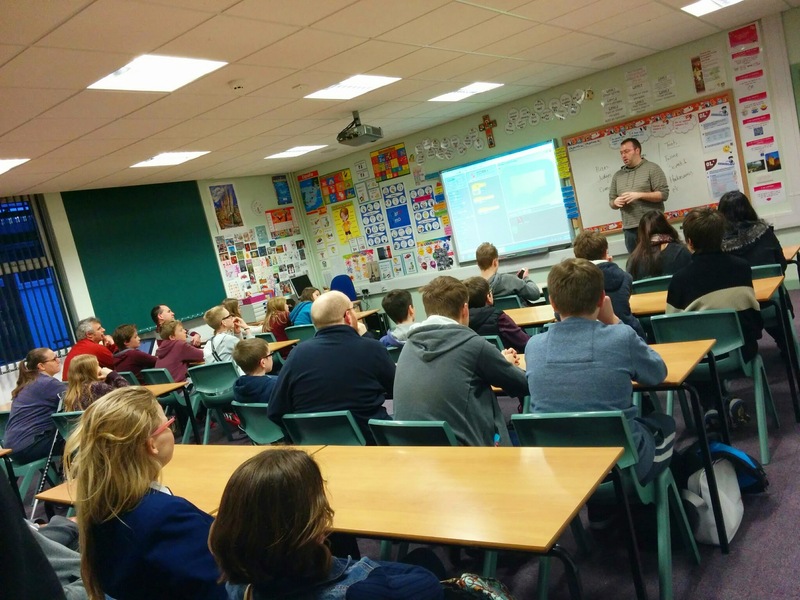 90% (9) felt more confident about teaching Computing after attending this event, 10% (1) were not sure if they felt more confident. 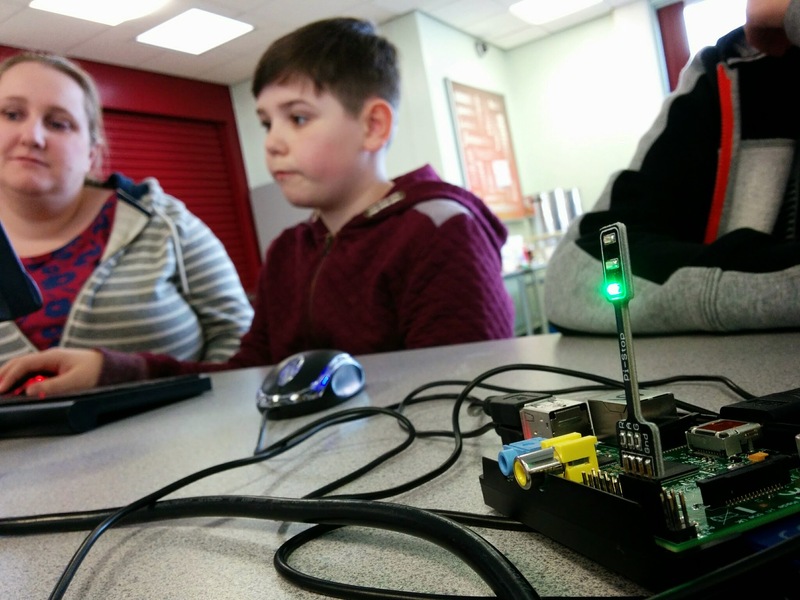 On Saturday from 10.30am to 3.30pm, 114 participants (70 adults including 11 teachers & 44 children) attended the Raspberry Jam event at Pedmore Technology College to discover the educational potential of the Raspberry Pi computer. 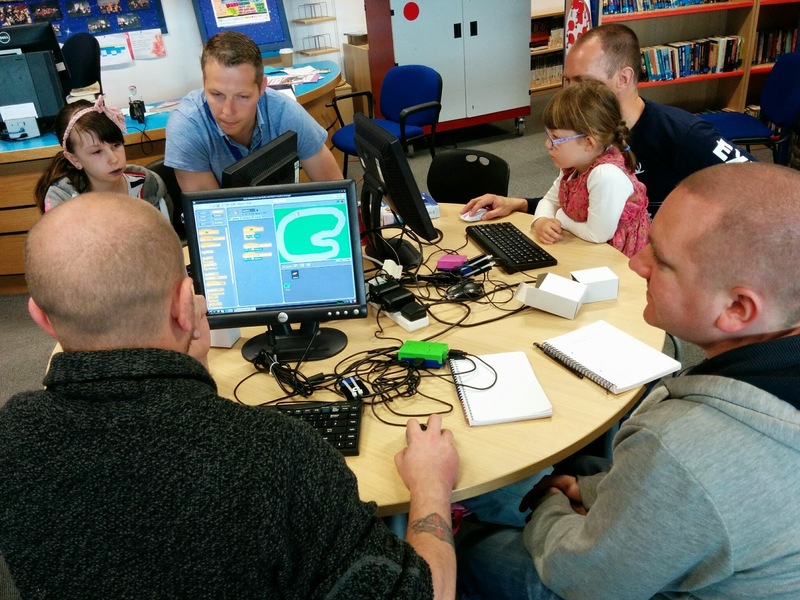 There were plenty of hands-on activities and workshops provided to enable learners of all experience levels to develop their knowledge of this revolutionary £20 computer. 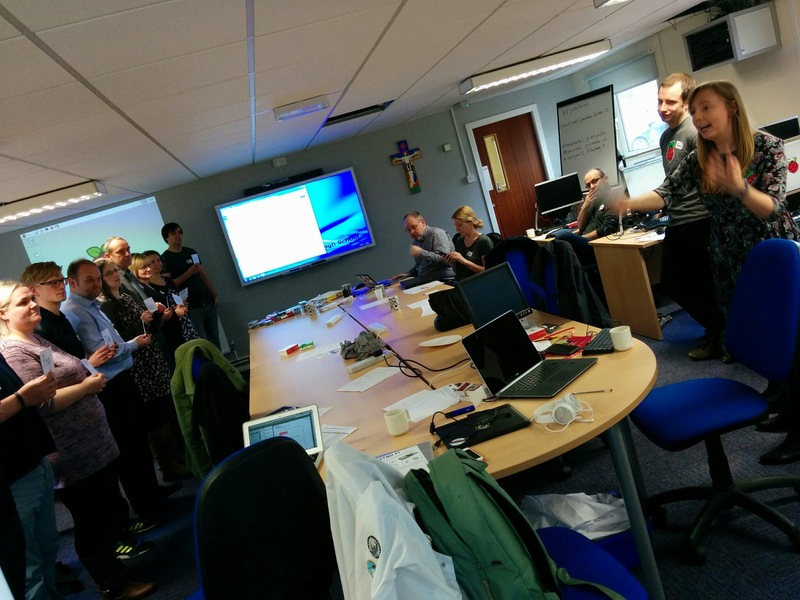 We used the same paper-based evaluation forms to gather feedback from the teachers attending the Raspberry Jam event. 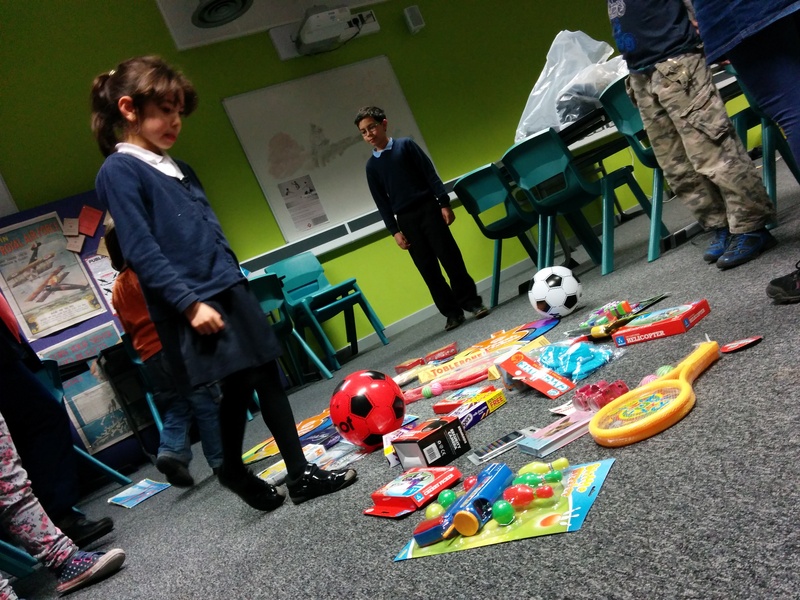 100% (10) agreed that attending the event was beneficial for them as a teacher. 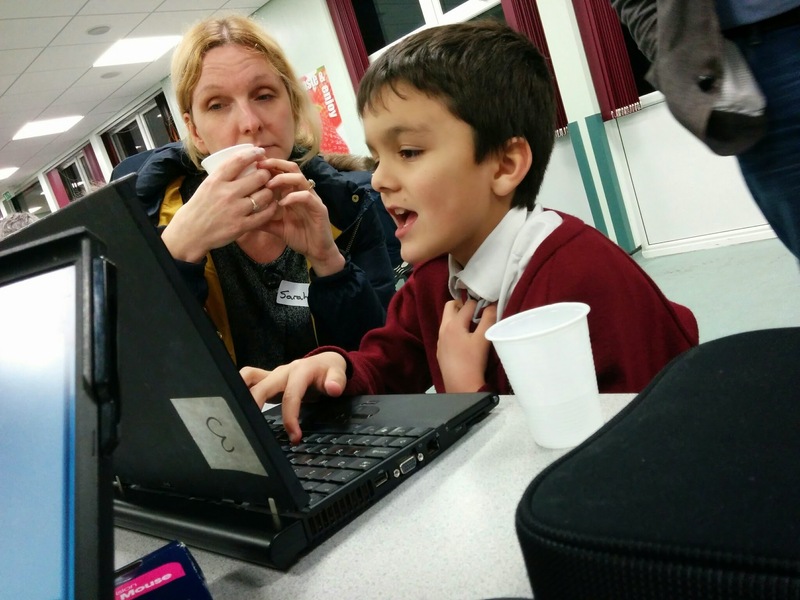 80% (9) felt more confident about teaching Computing after attending this event, 20% (2) were not sure if they felt more confident. 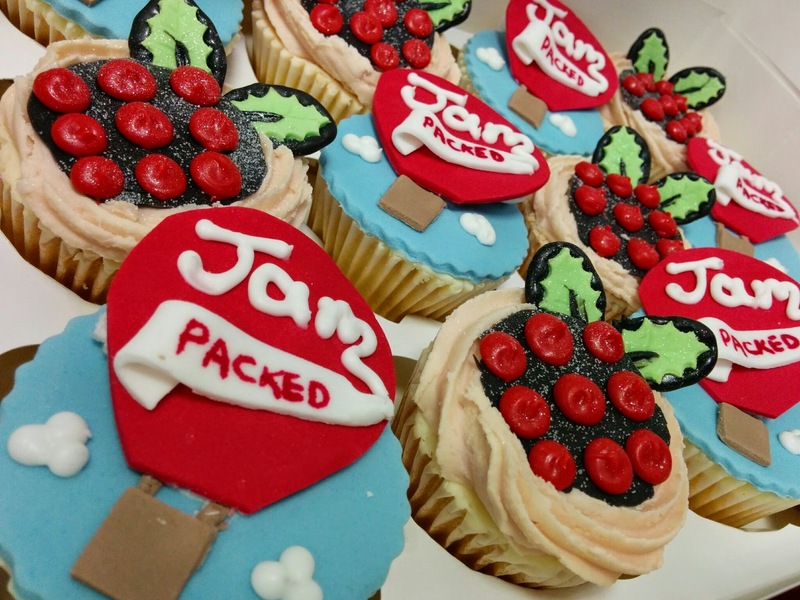 The JamPackedUK roadshow travelled up north to Longfield Academy, Darlington on January 9th & 10th 2015. 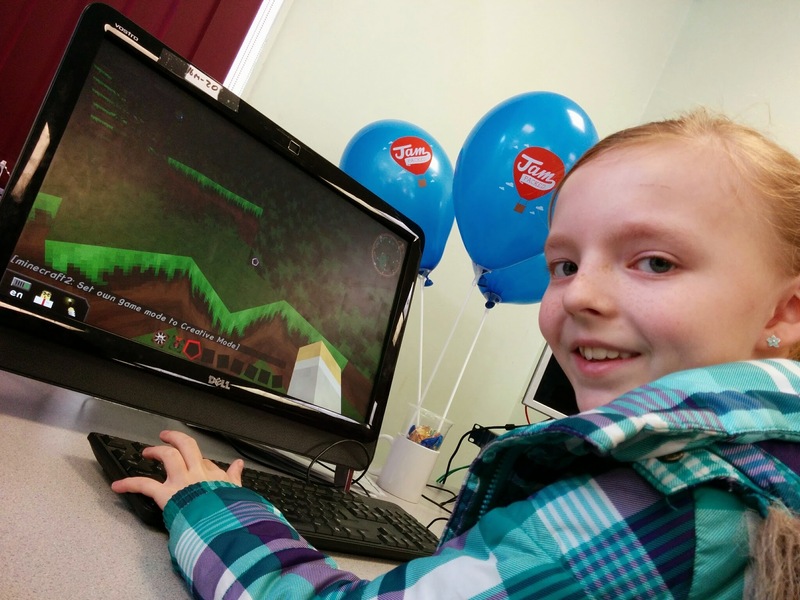 Over a period of 24 hours, the school hall at Longfield Academy was transformed into a busy Computing festival. 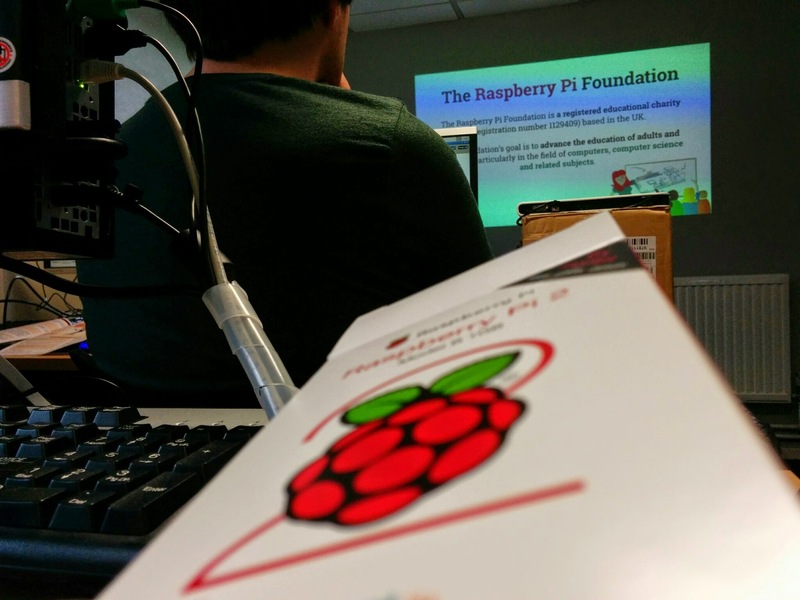 A total of 220 participants attended the three events that took place at the school to discover how to use tools like Sonic Pi & PyGame to create computer based music, computer software & experiment with computer hardware. 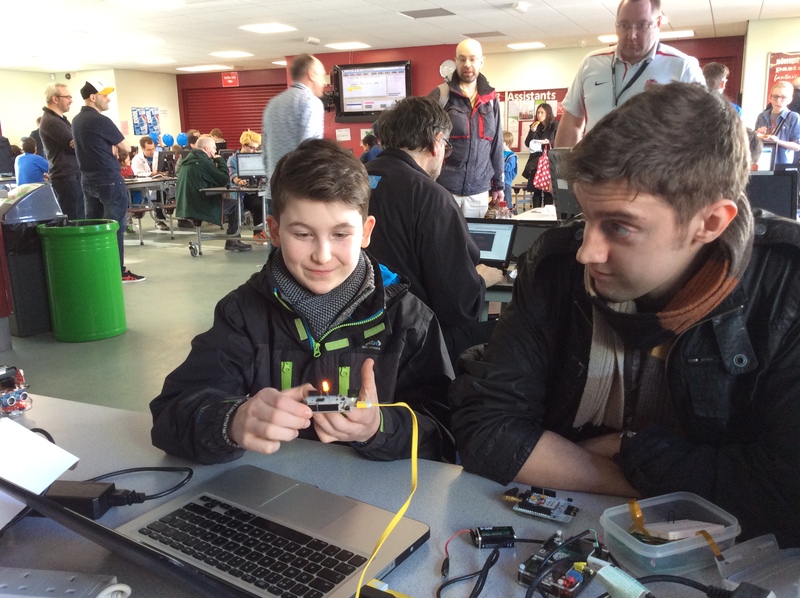 The first event, Hack To The Future took place during the school day. 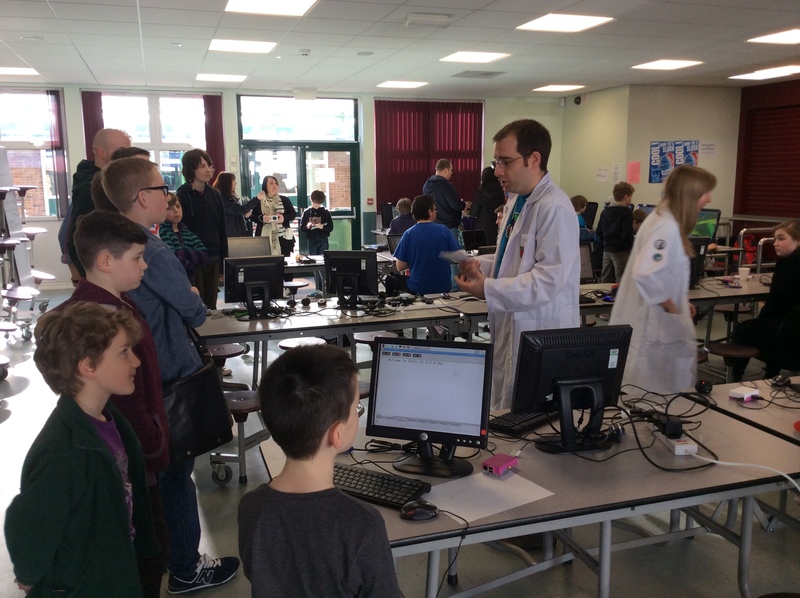 There were 110 pupils from Year 8, 3 teachers from Longfield and 19 Computing teachers from local secondary & primary schools. 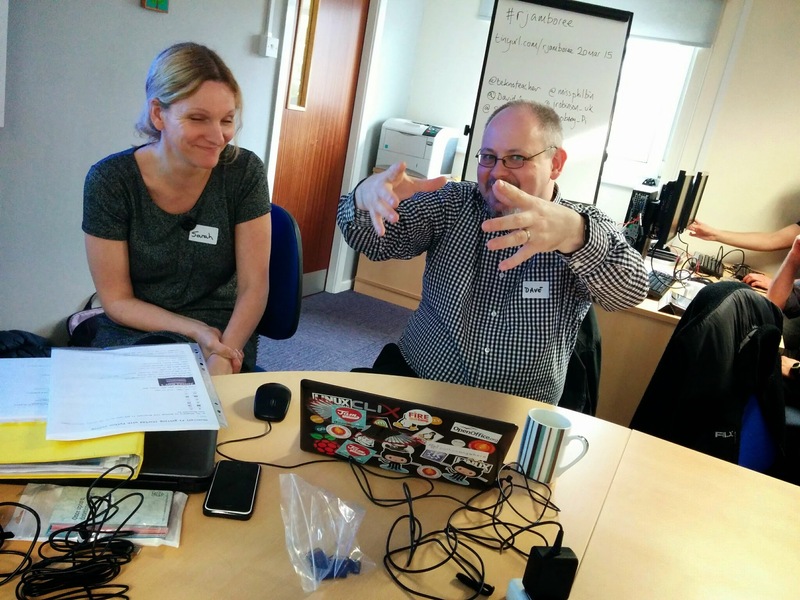 The group spent the whole day together in the hall developing games with Scratch, Python & Pygame, Sonic Pi and Twine led by Alan O’Donohoe. 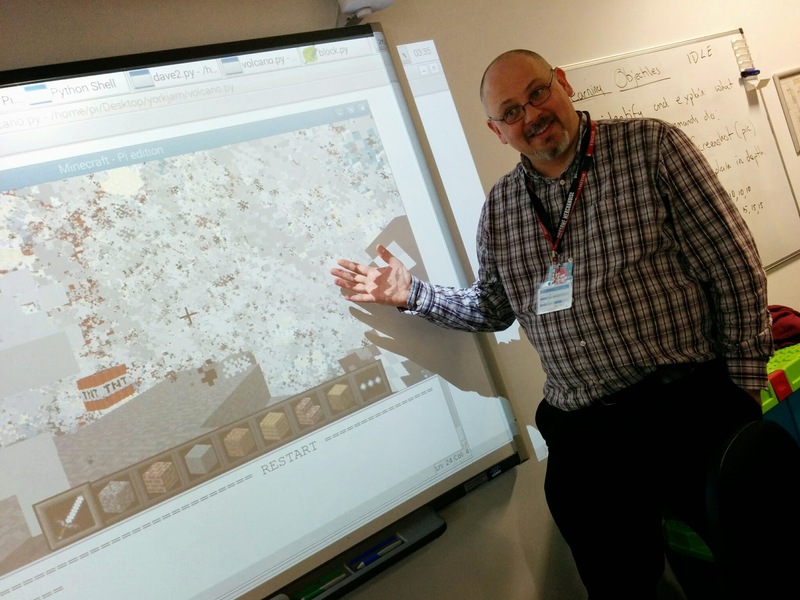 Teachers visiting from other schools in the North East witnessed a range of teaching strategies being demonstrated using free downloadable resources all with the aim of inspiring and engaging pupils into Computer Science. 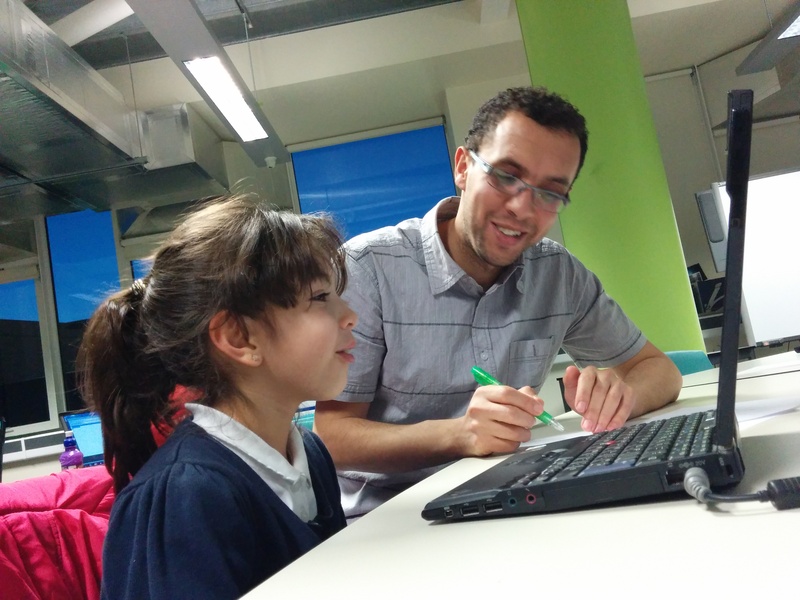 The free software for the coding activities was pre-installed on the Jam Packed laptops. 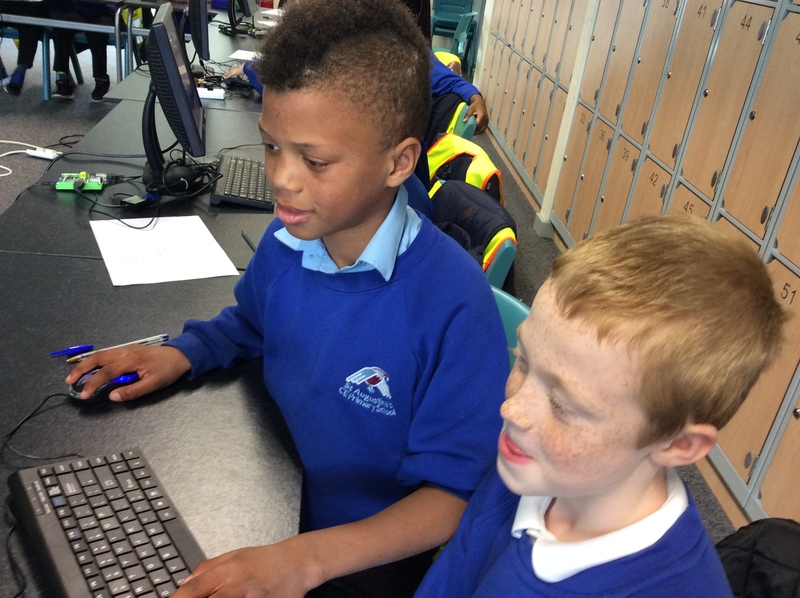 Pupils collaborated in pairs sharing the laptops, they swapped roles as Driver & Navigator. 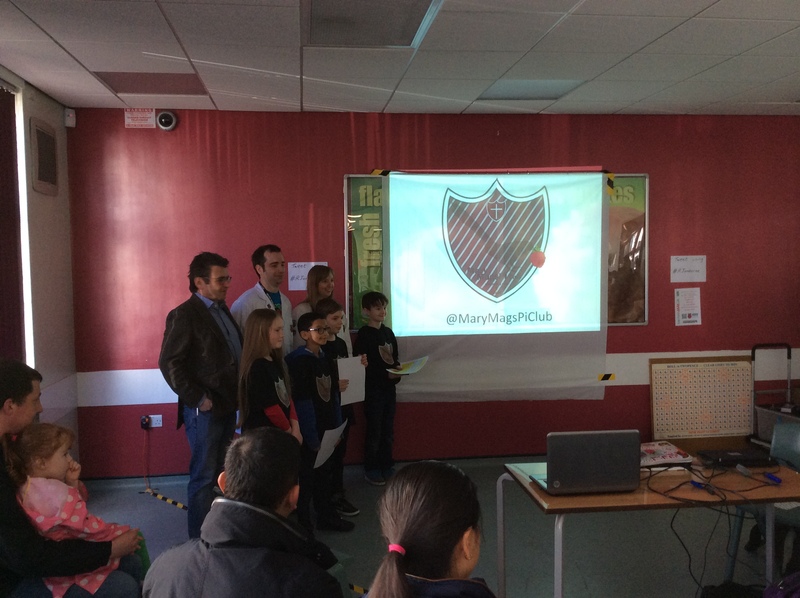 Pupils working in groups of three had an additional role of ‘Spy’ and used ‘Espionage’ to steal ideas from other teams. 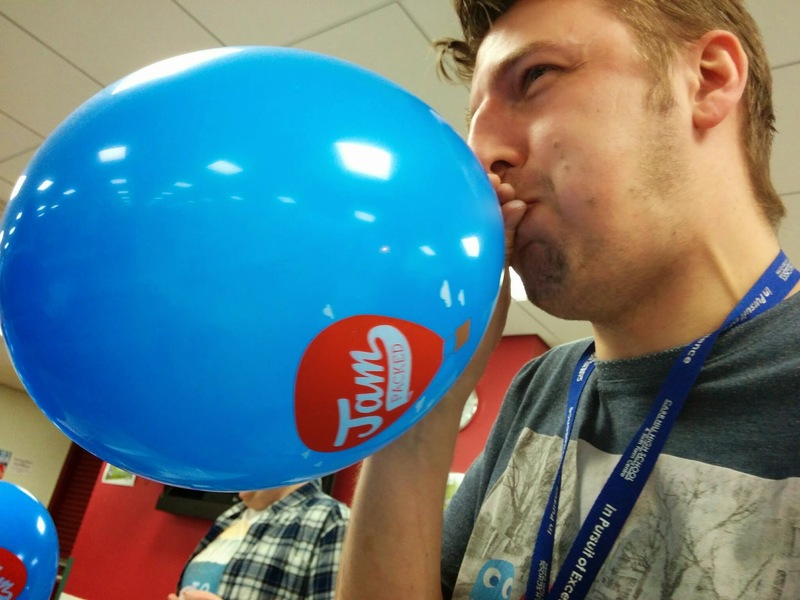 90% (8) agreed that attending the event was beneficial for them as a teacher, 10% (1) were not sure. 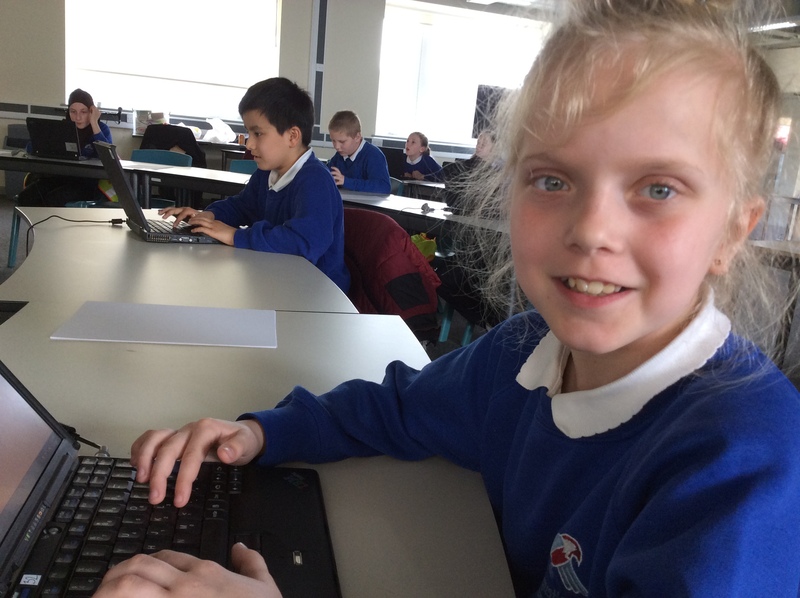 100% (9) saw activities and teaching strategies that they would definitely consider using in their own Computing lessons. 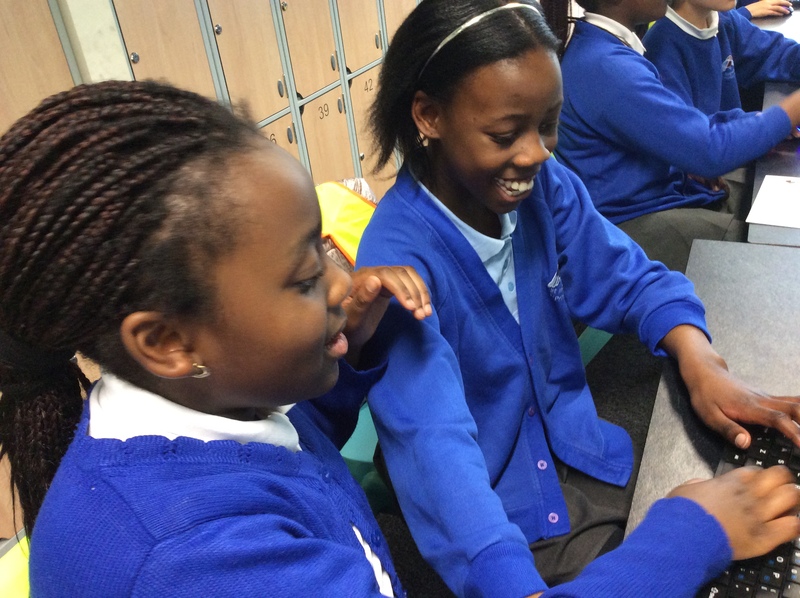 66% (6) felt more confident about teaching Computing after attending this event, 33% (3) were not sure if they felt more confident. 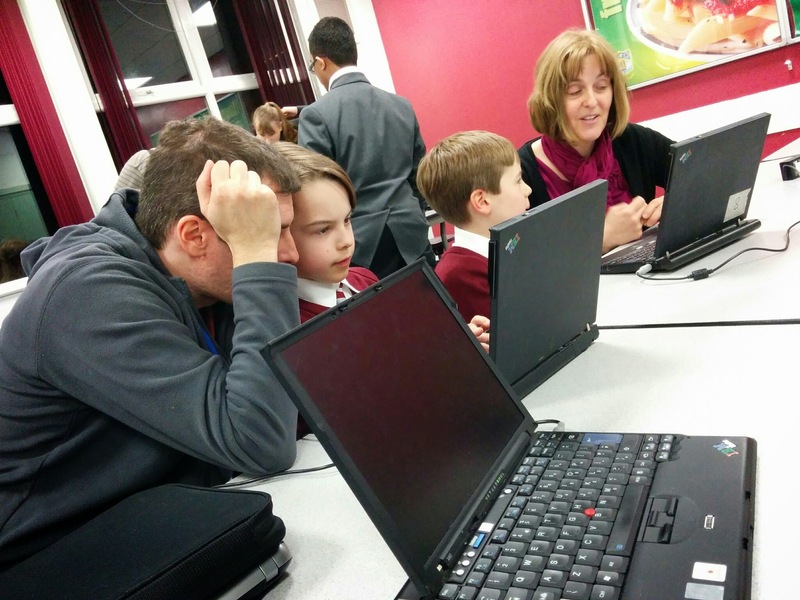 The Family Hack Jam event at Longfield Academy took place on Friday evening from 6.00pm to 9.00pm. 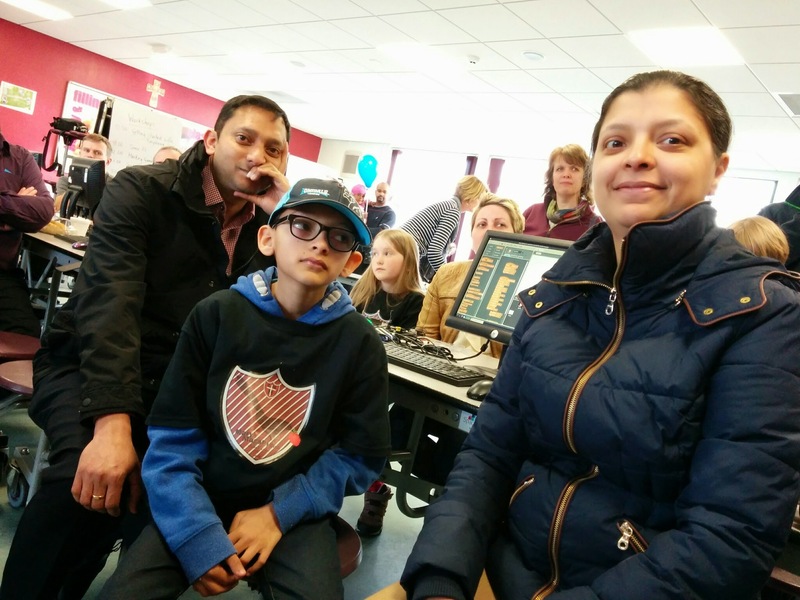 There were 49 participants mostly consisting of families from the local community and 8 teachers. 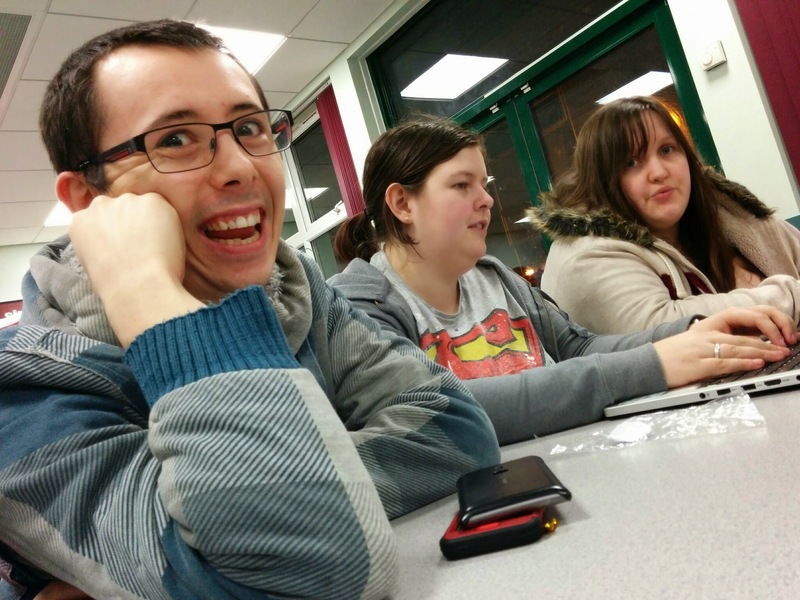 At the start of the evening, participants were organised into teams who then took part in a short game to generate a random list of thematic suggestions for a text-based adventure. 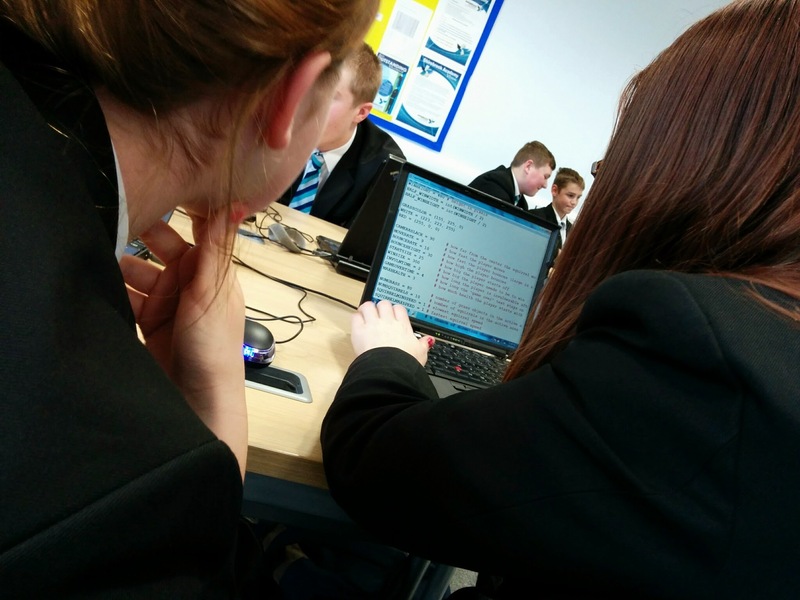 Then following a brief introductory tutorial to Twine, teams collaborated to create interactive adventures based on their chosen themes while Sonic Pi tunes provided a musical ambience. While teams were busy creating, judges visited them and awarded points for teamwork, leadership, creativity and adherence to the themes. At the end of the evening the teams with the highest scores were allowed first entry to the prize chamber to claim their preferred choice of prizes. 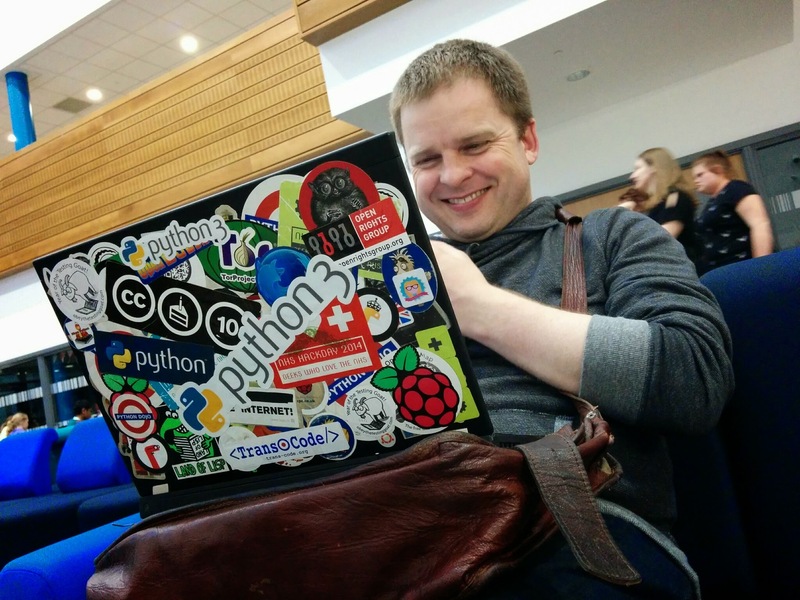 Ben Garside, teacher at Durham Johnston School. 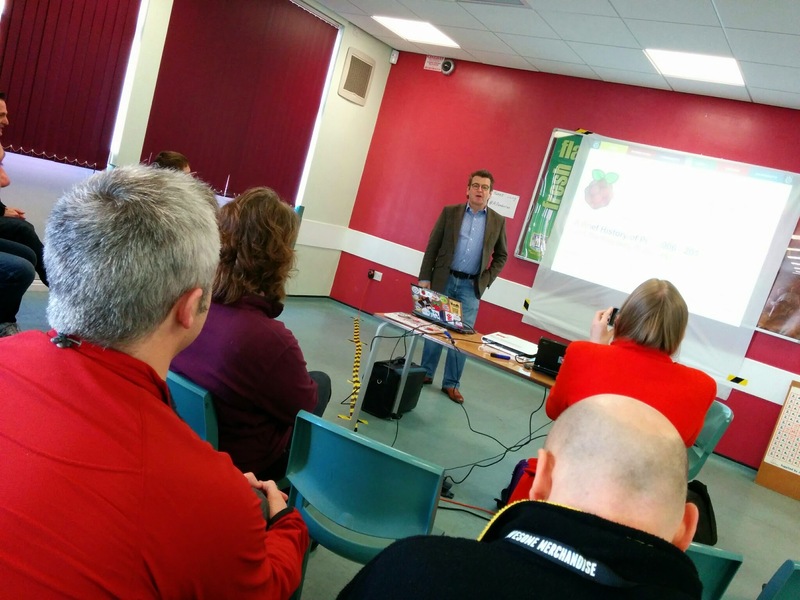 On Saturday from 10.30am to 3.00pm, 44 participants (including 9 teachers) attended the Raspberry Jam event at Longfield to discover the educational potential of the Raspberry Pi computer. 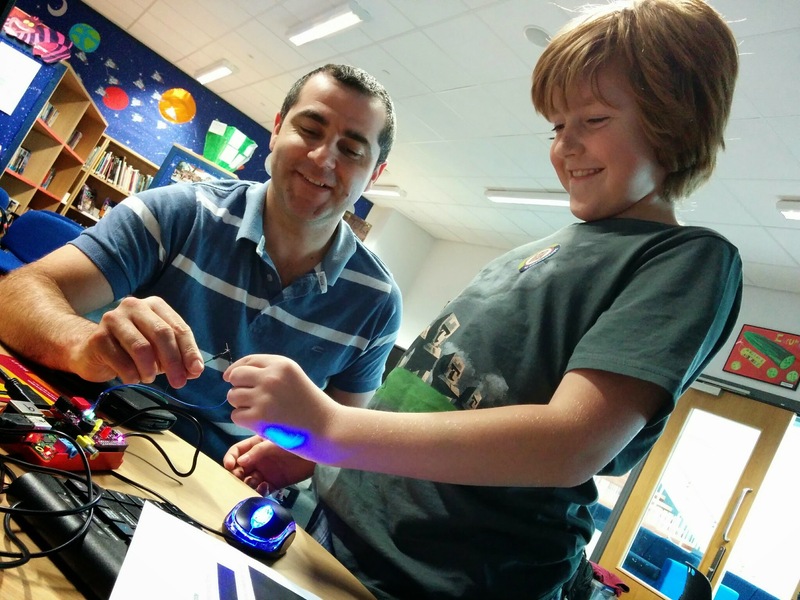 There were plenty of hands-on activities and workshops provided to enable learners of all experience levels to develop their knowledge of this revolutionary £20 computer. 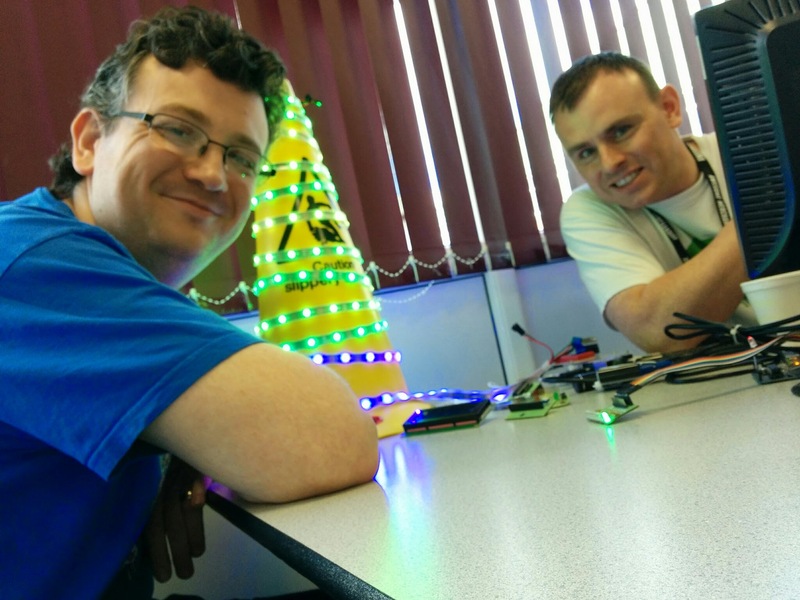 Two local Master Teachers, Dan Aldred and John Lamb ran workshops on Minecraft and Sonic Pi. 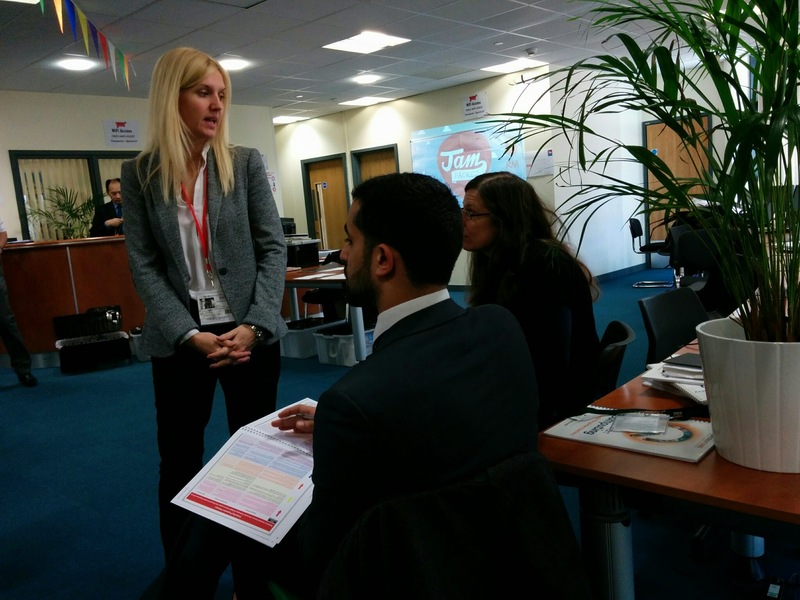 100% (7) agreed that attending the event was beneficial for them as a teacher. 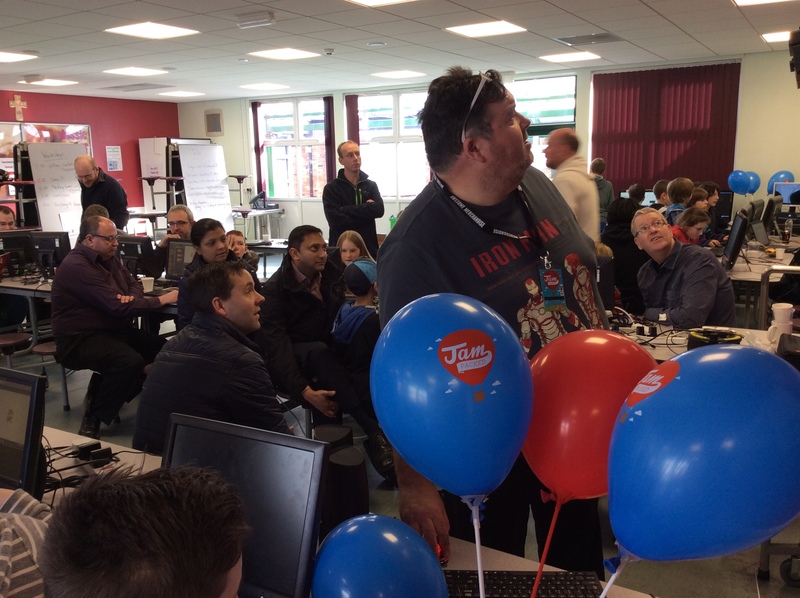 100% (7) felt more confident about teaching Computing after attending this event, but only 57% (4) said they would consider organising an event like this in their own schools.